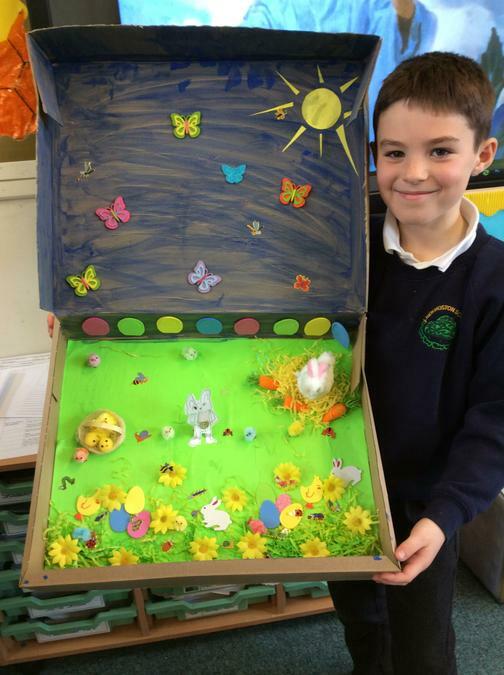 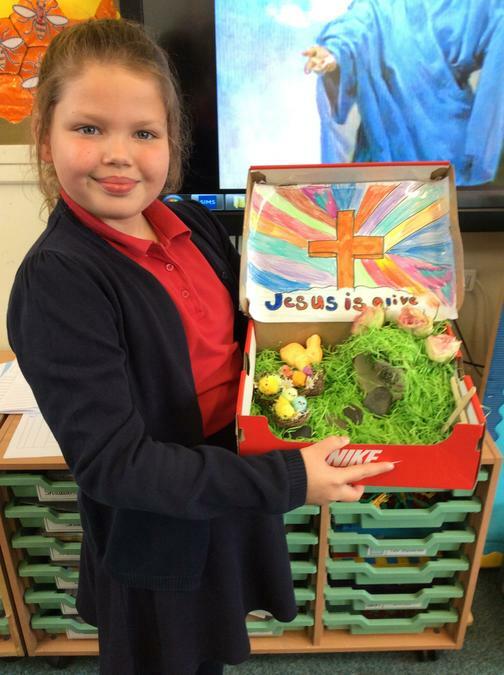 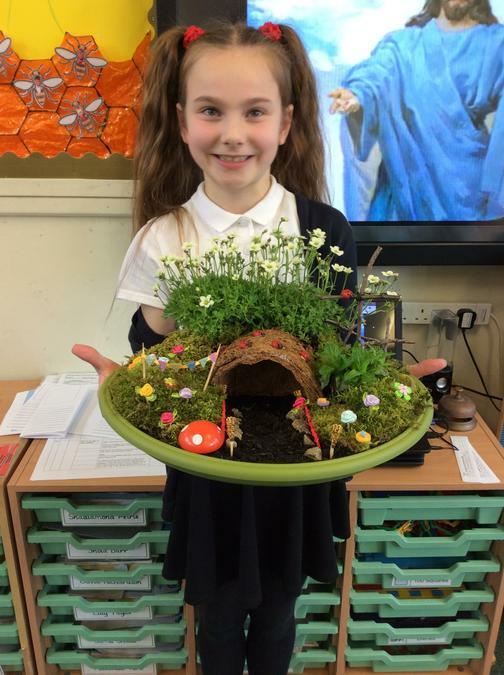 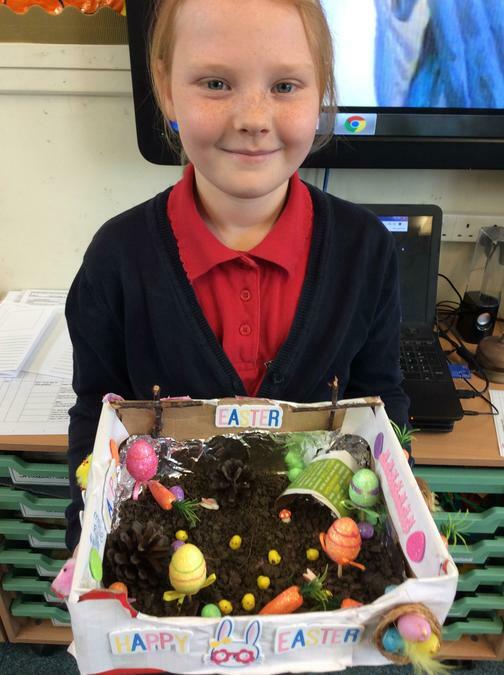 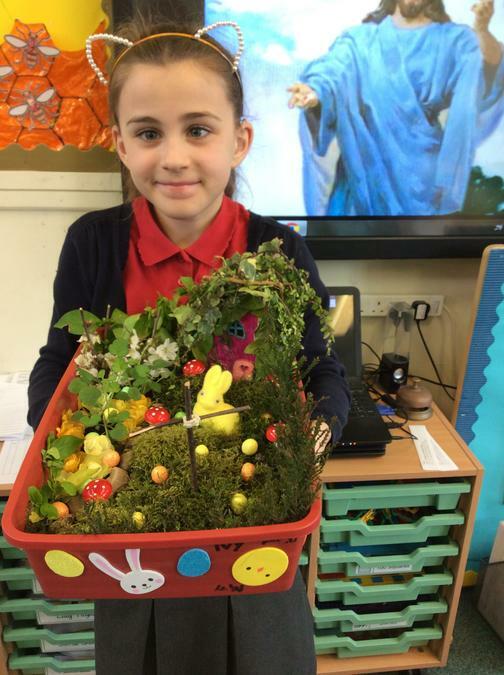 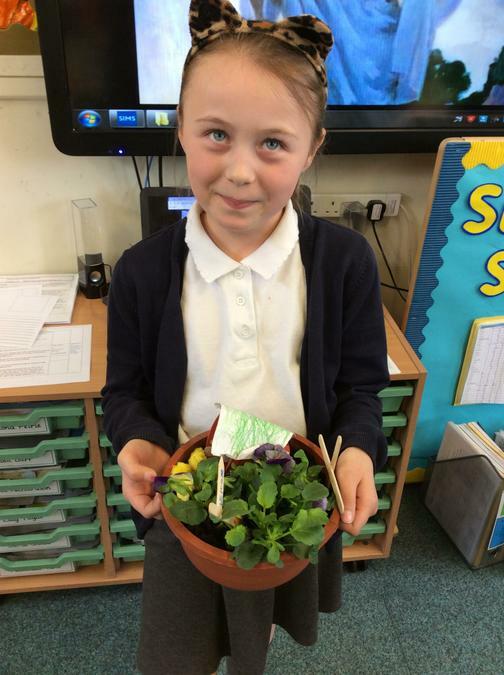 All the children were invited to create their own Easter Garden. 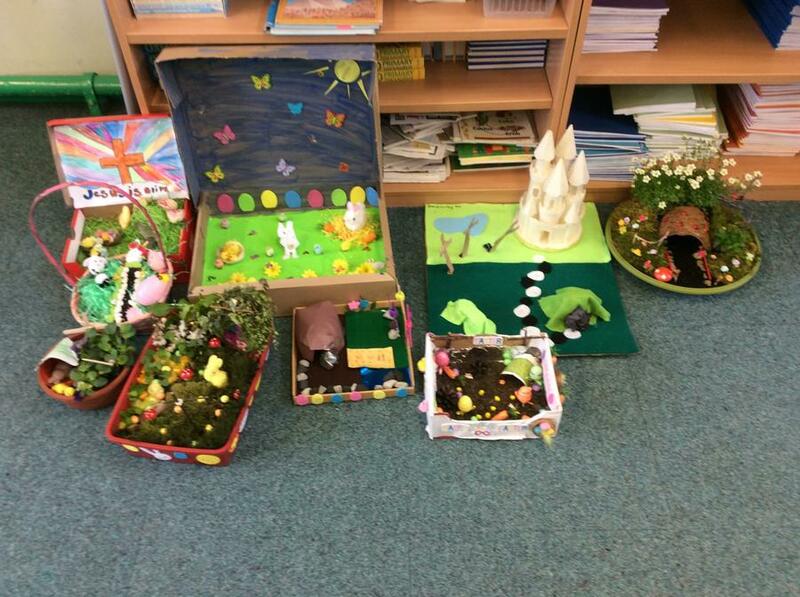 There were some fabulous entries- well done everyone! 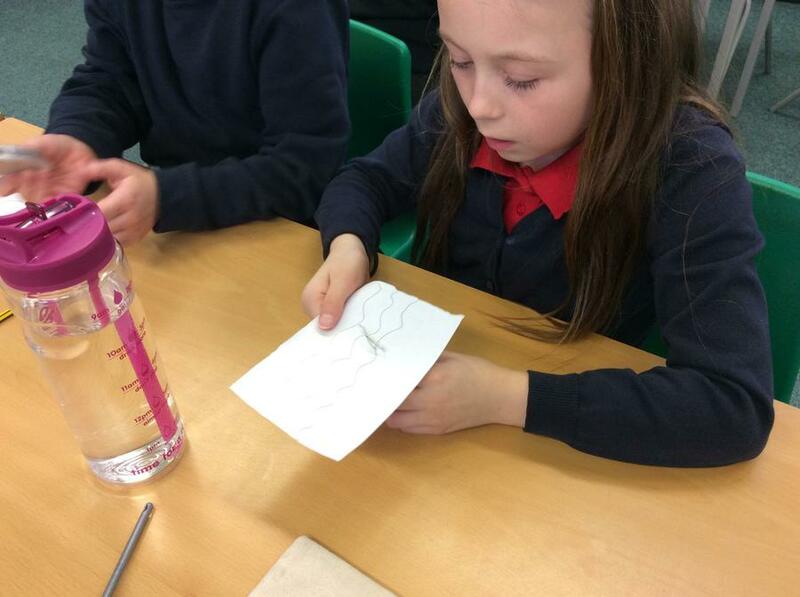 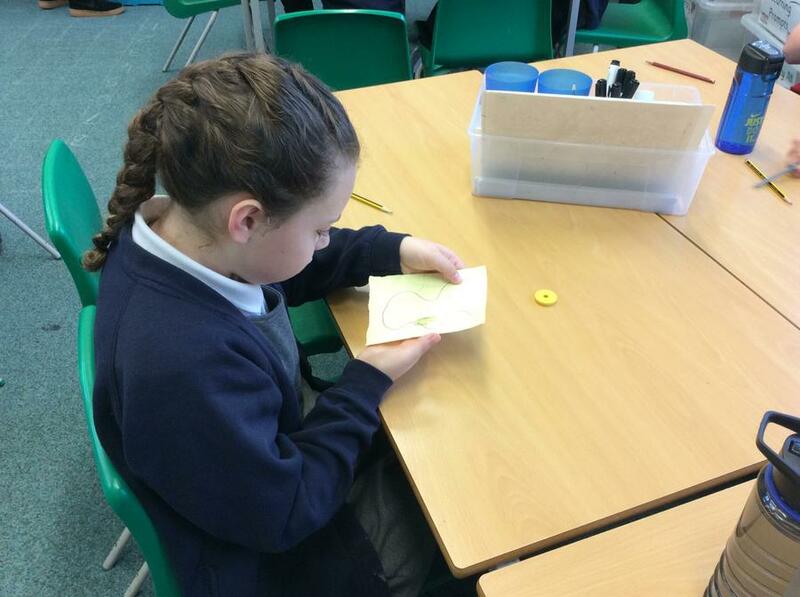 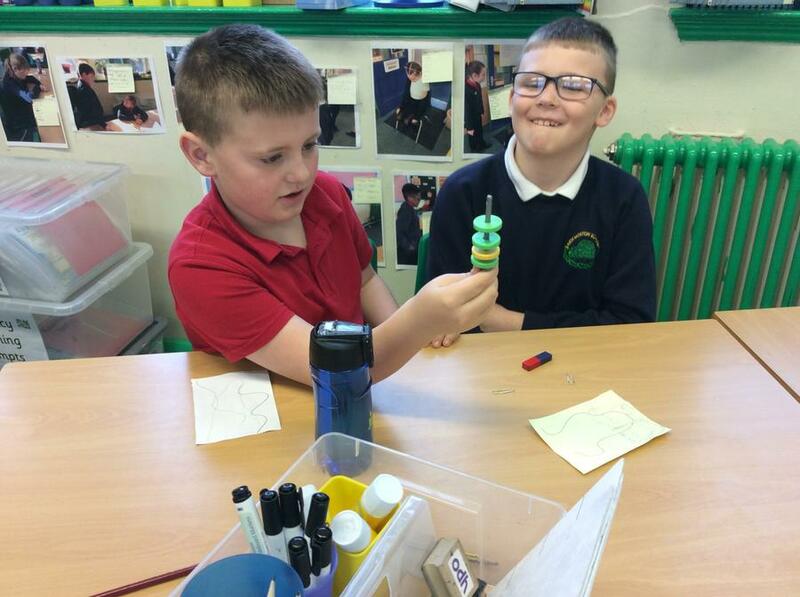 The children were invited to colour an Easter Egg in using their own design. 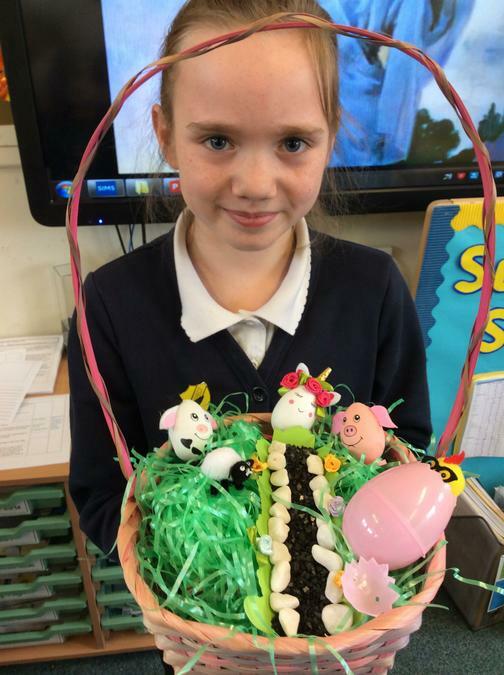 have a look at our entrants and the winner and second place eggs. 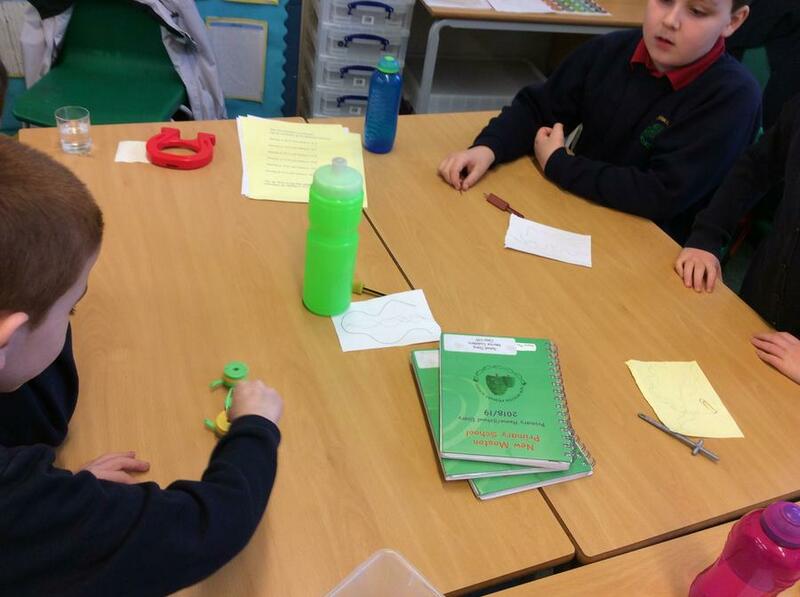 In numeracy this week we played triominoes. 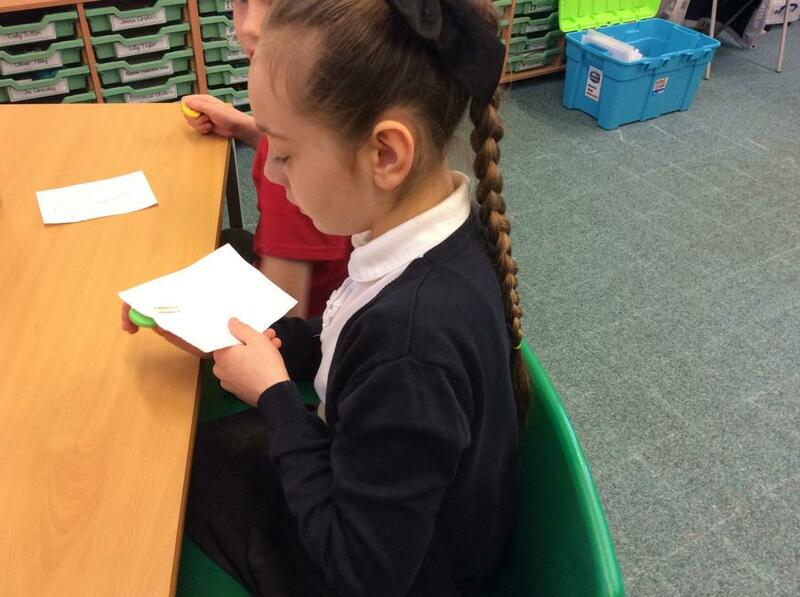 We had to look at the multiplication and division facts and use them to match the triominoes together. 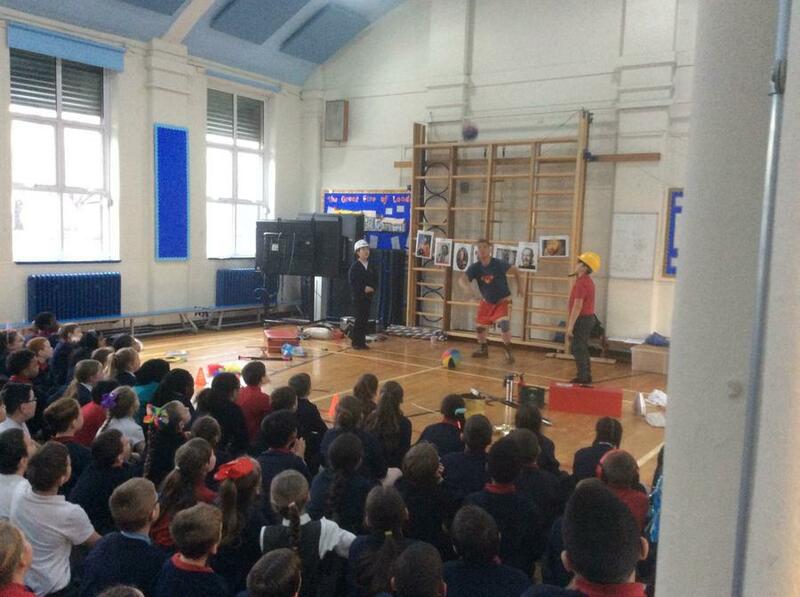 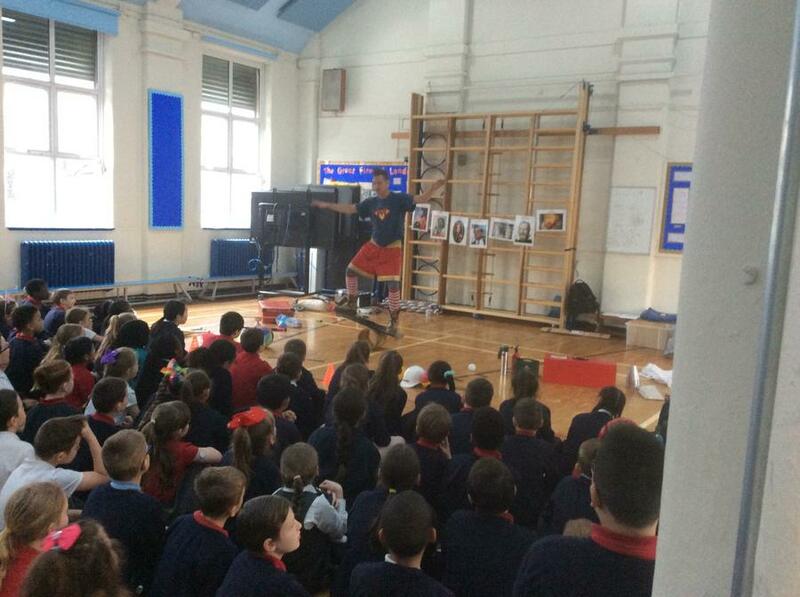 Everyone enjoyed it so there is a set being sent home with each child. 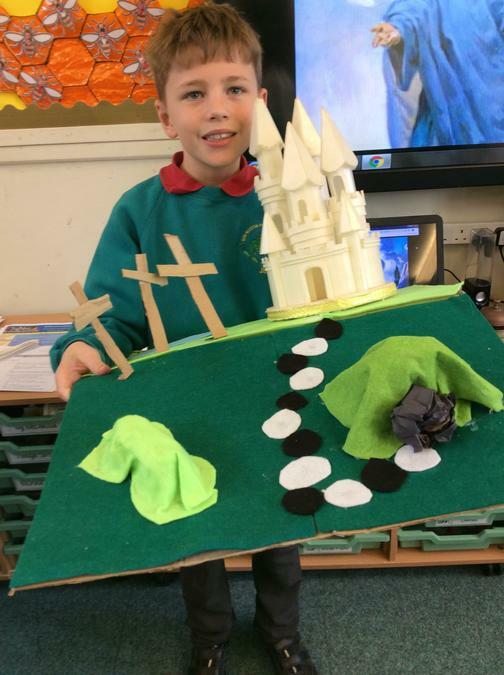 You could do this for your homework and stick it in your learning log, or even take a photo of your game or you playing the game. 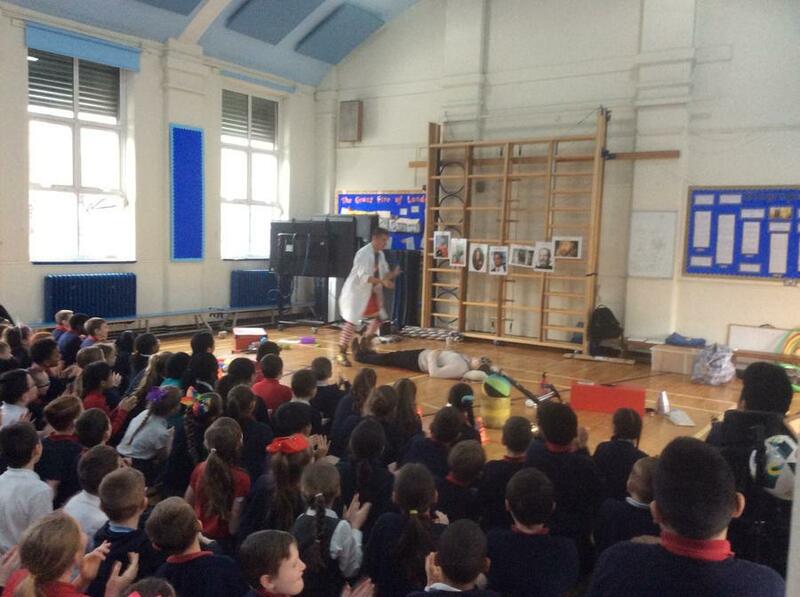 This week is Science week. 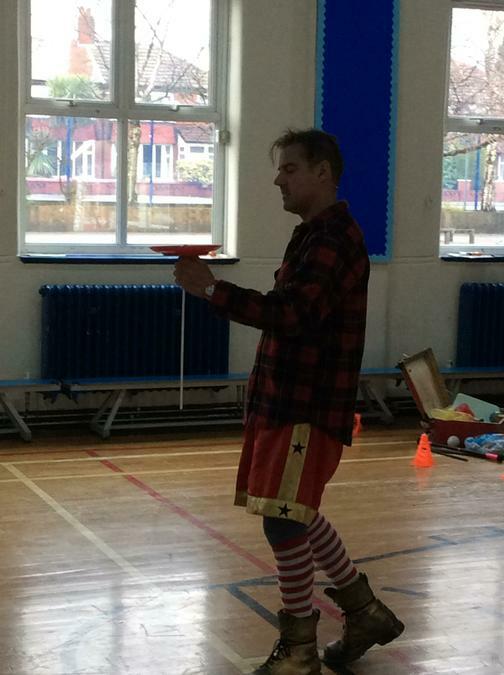 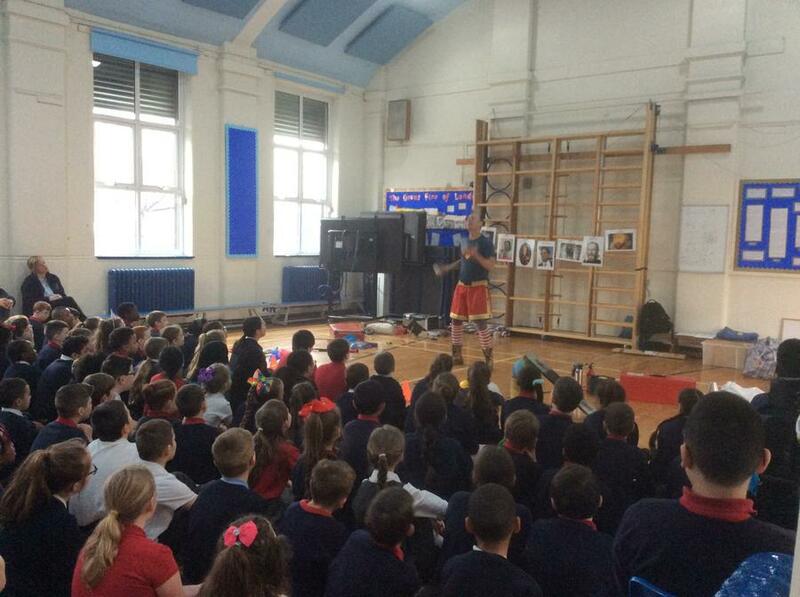 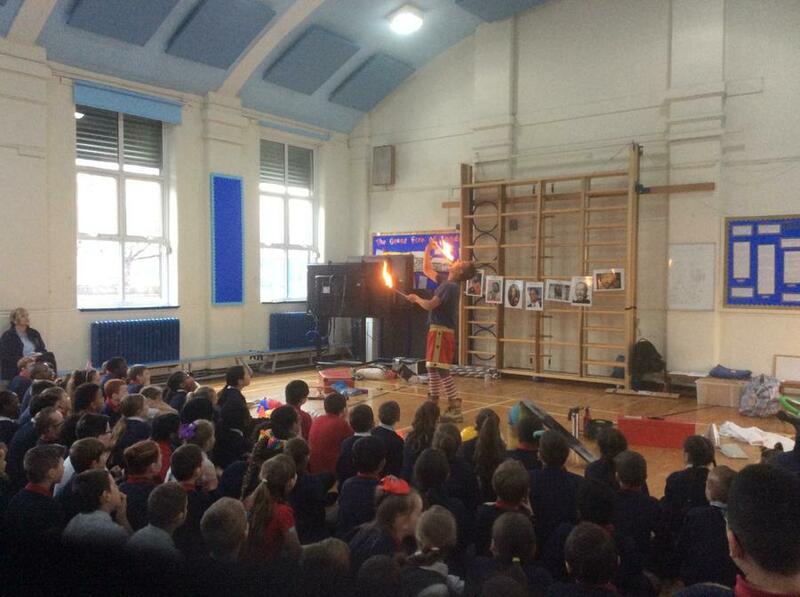 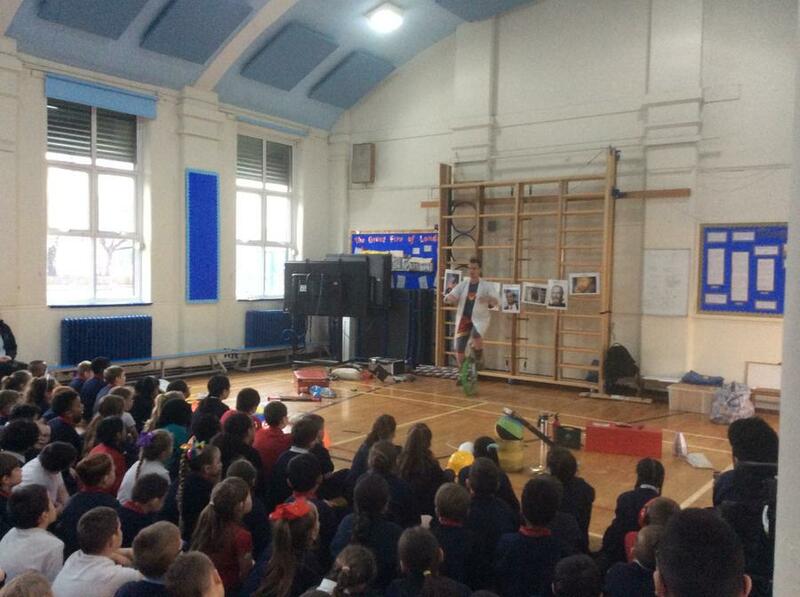 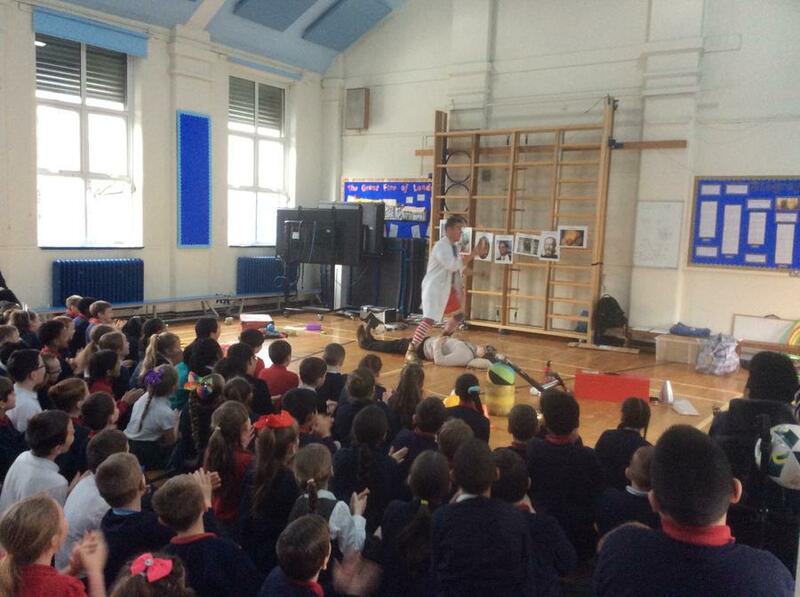 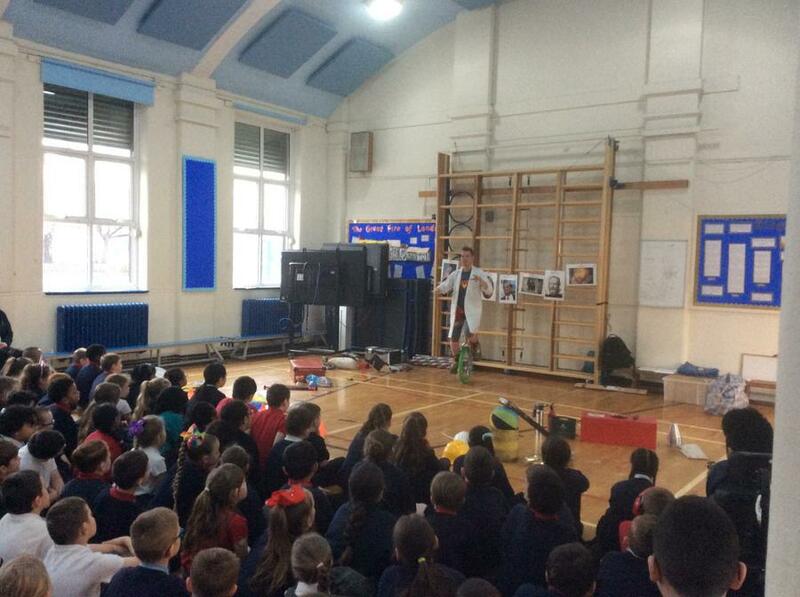 Today we had a visit from a Science circus. 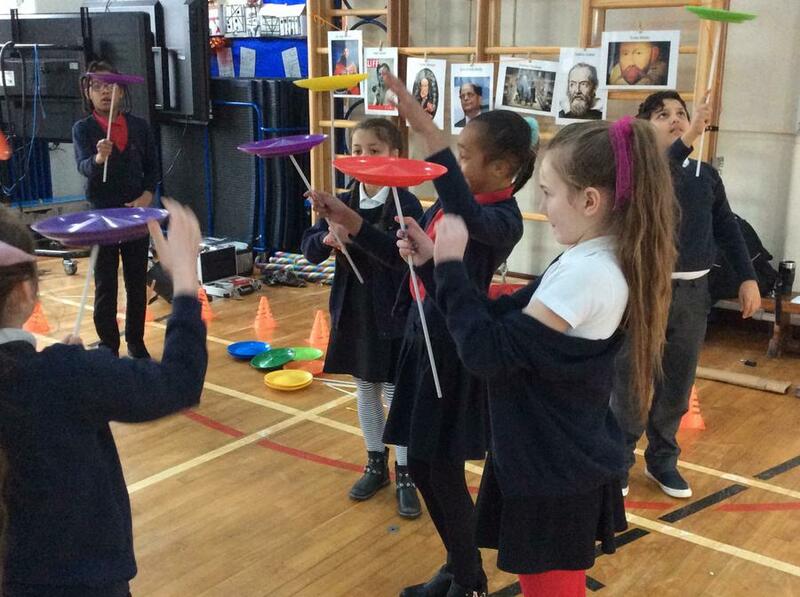 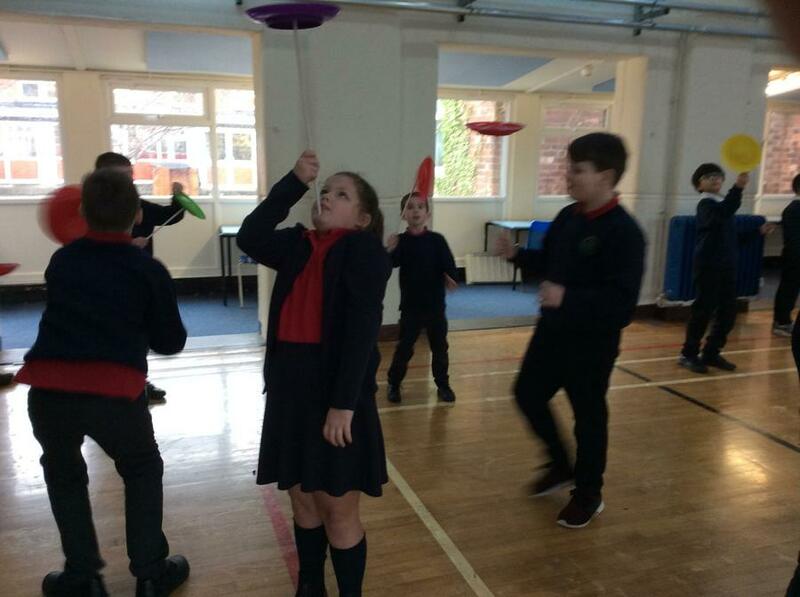 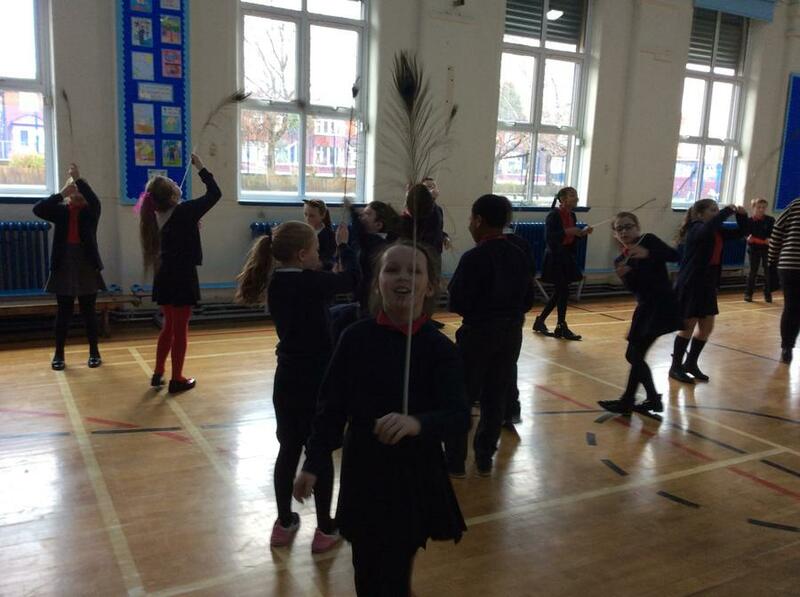 We had a demonstration first then the children got to practise their skills of balancing peacock feathers on different body parts and also spinning plates. 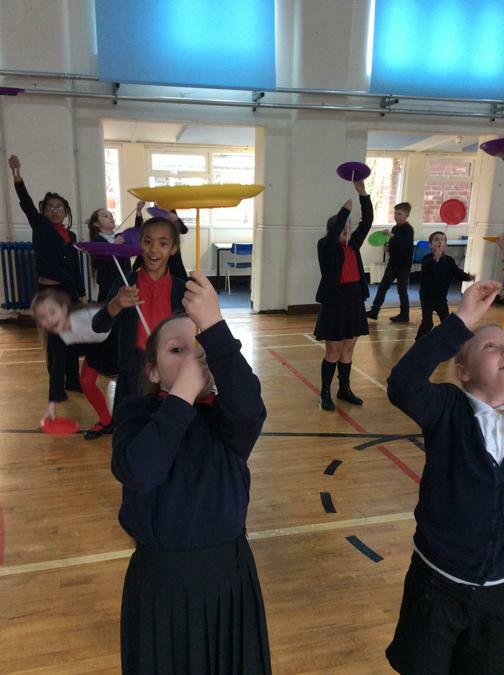 Have a look at our skills. 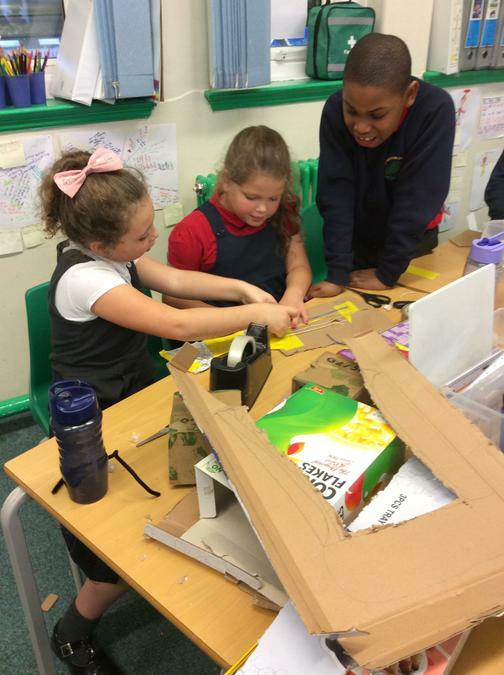 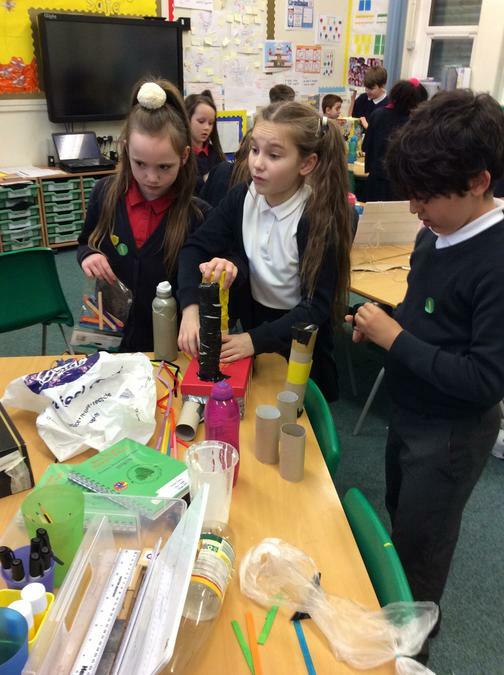 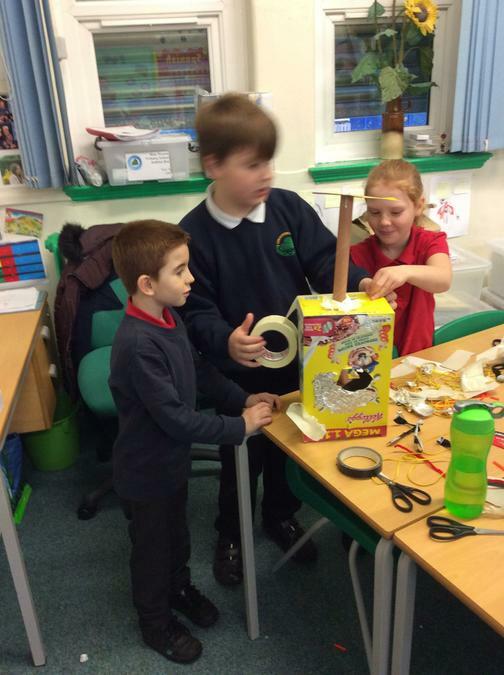 Are you going to enter an invention to our competition? 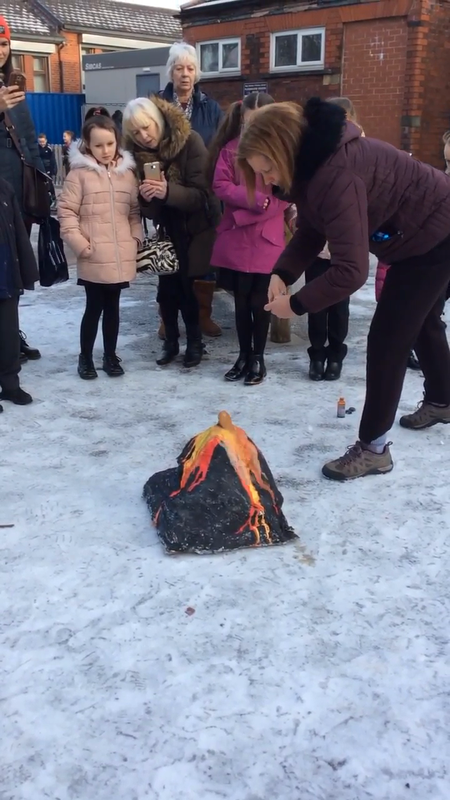 Bring it on Friday. 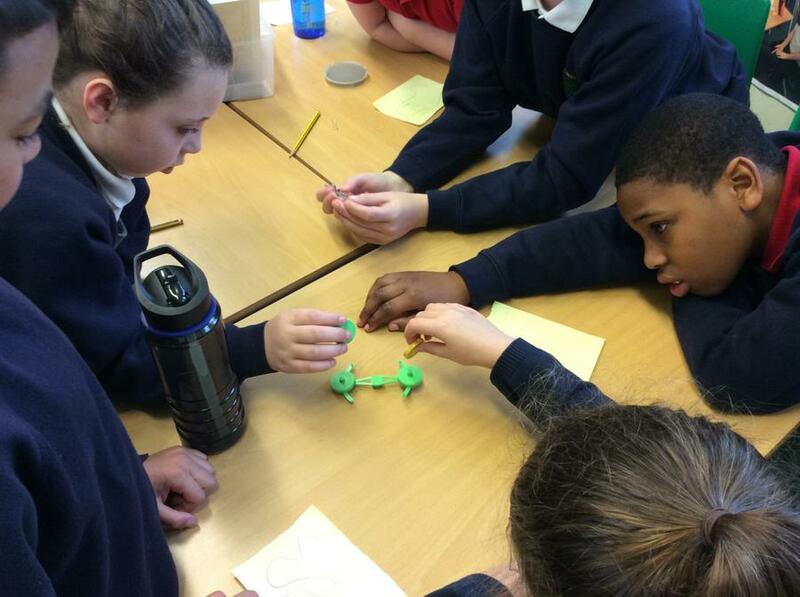 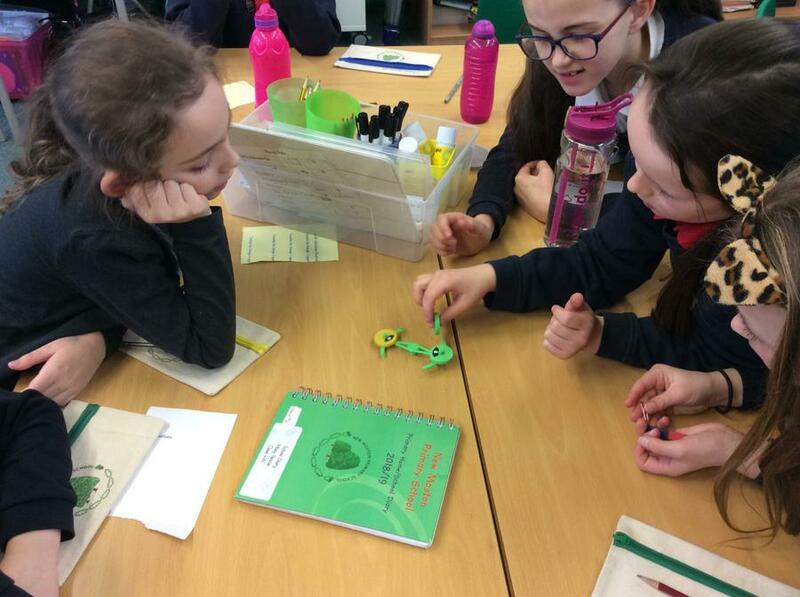 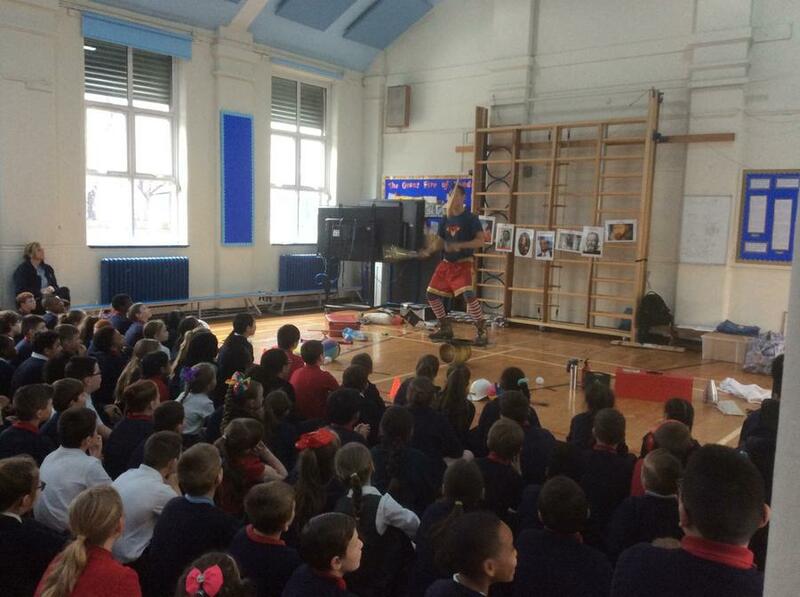 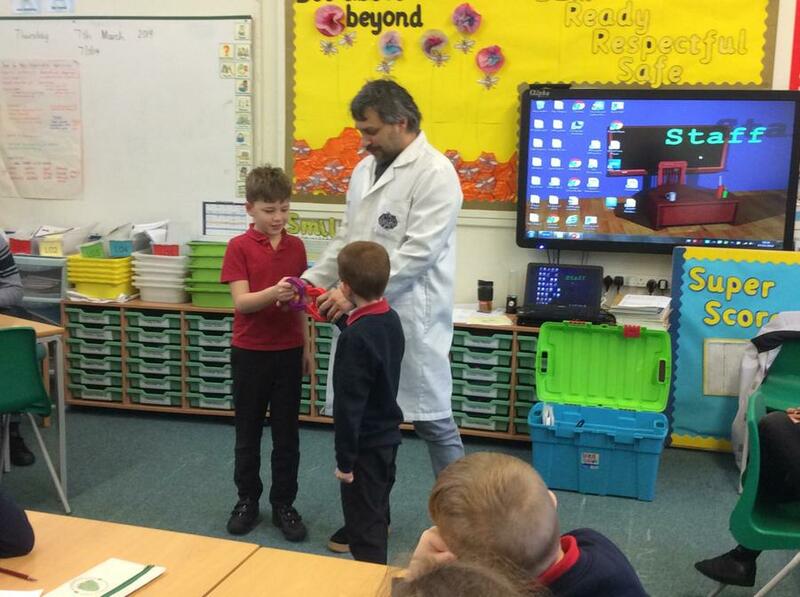 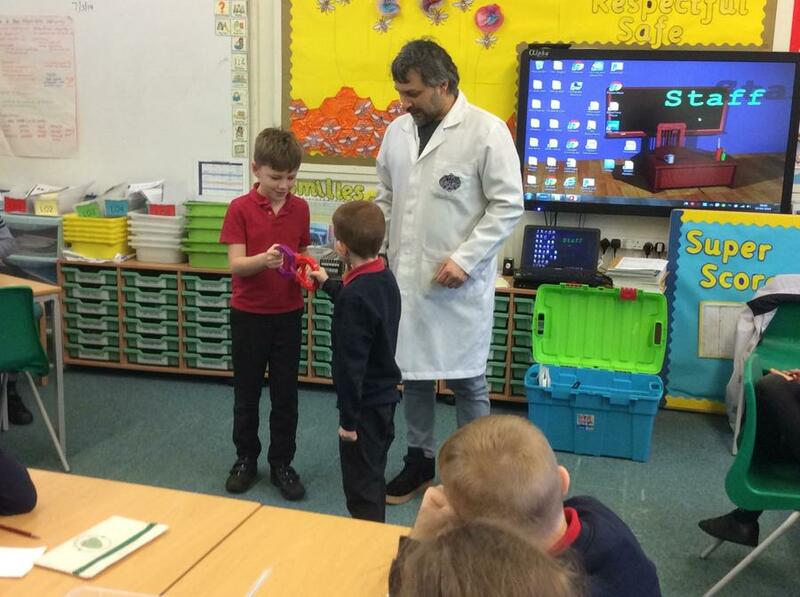 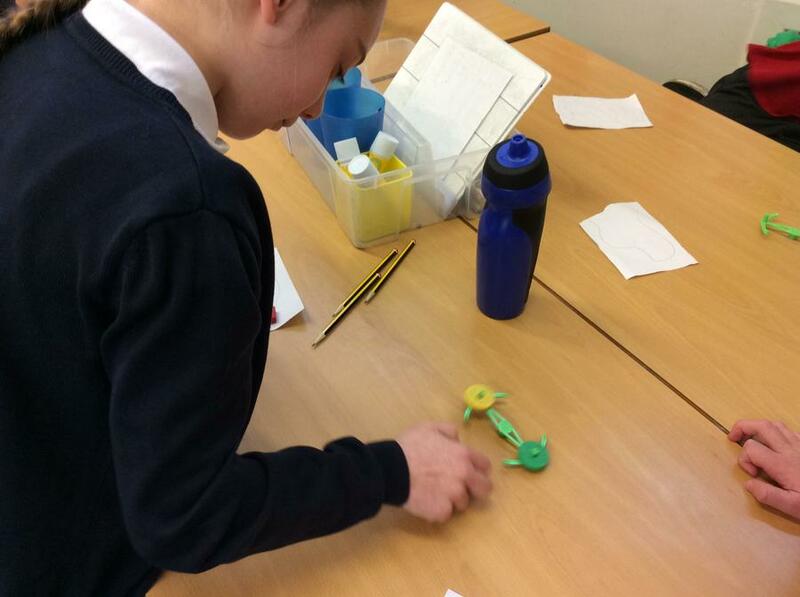 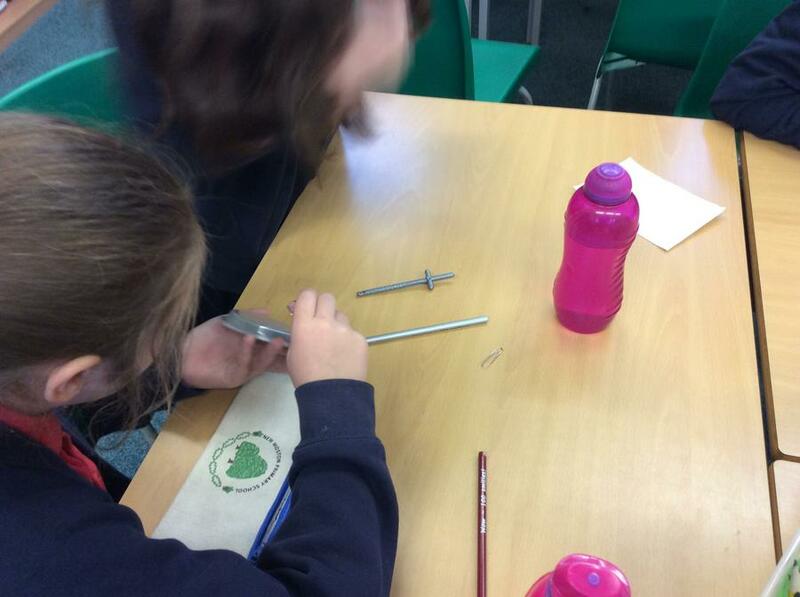 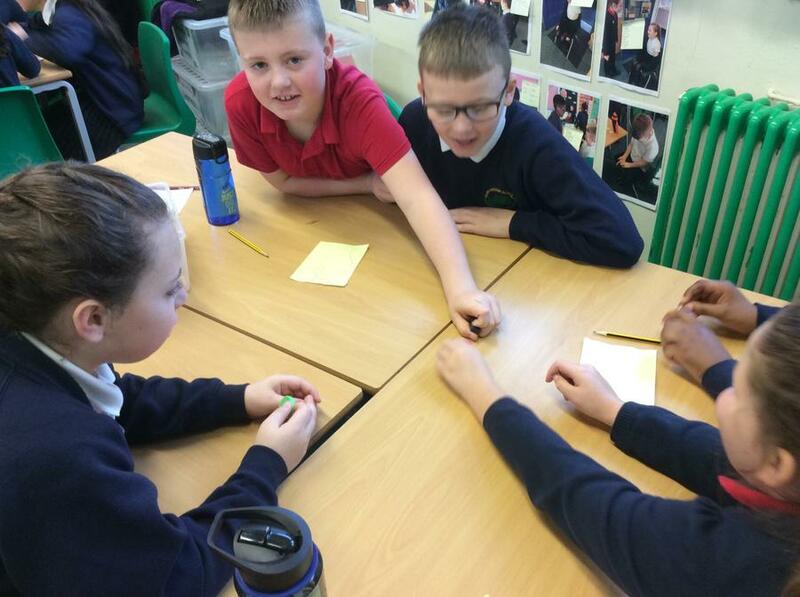 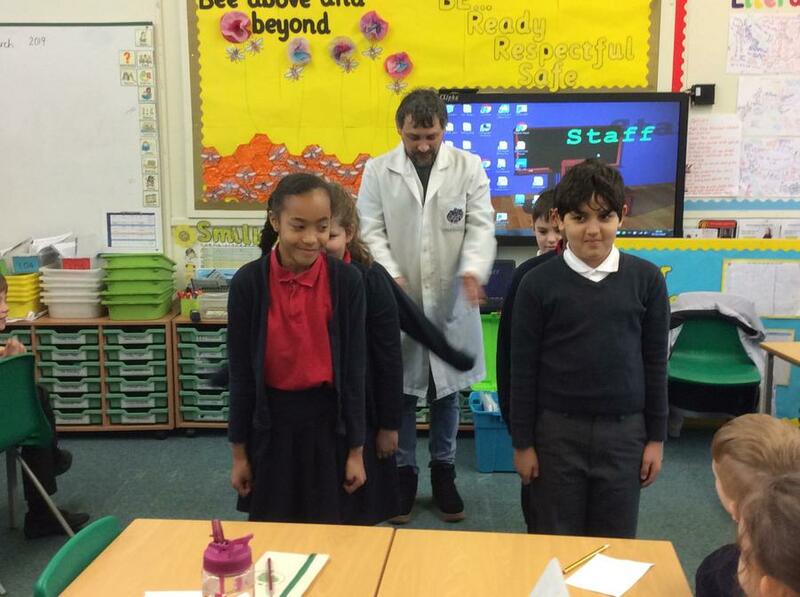 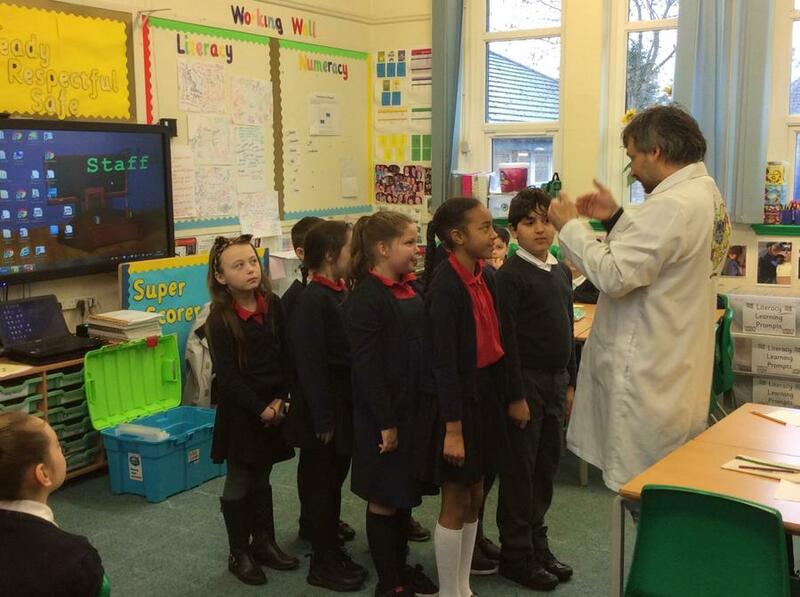 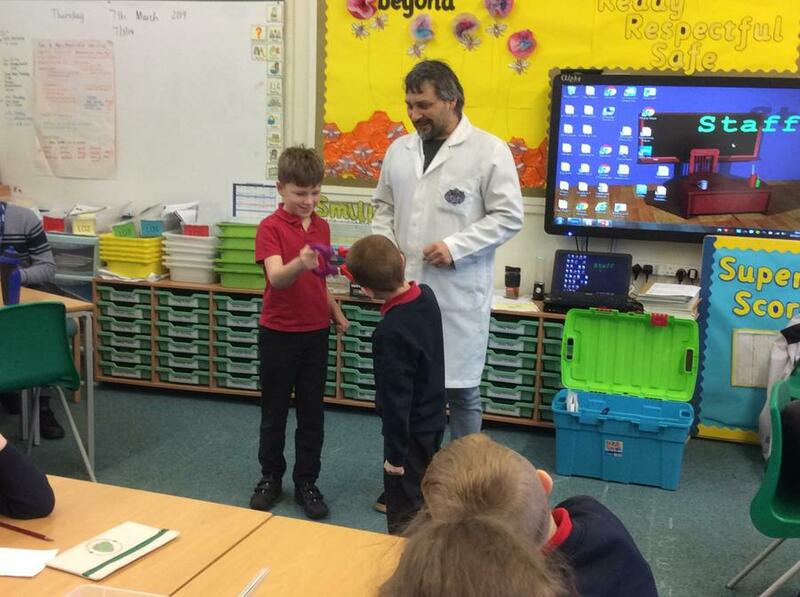 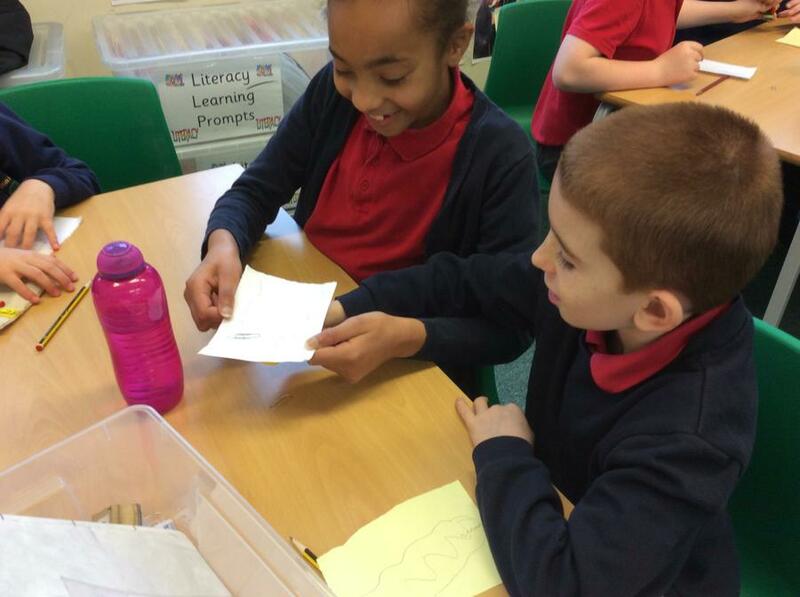 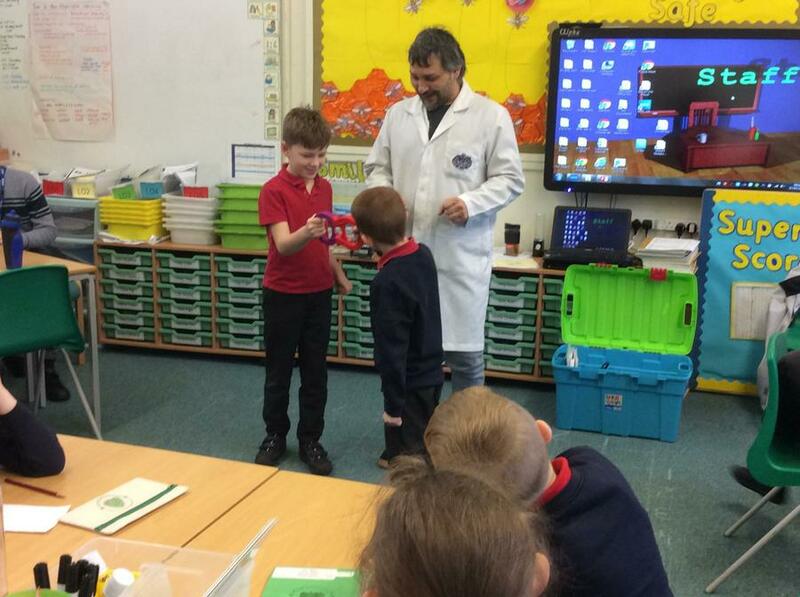 This week we had Mark from Magnetic Majic visit us to help us with our learning about magnets. 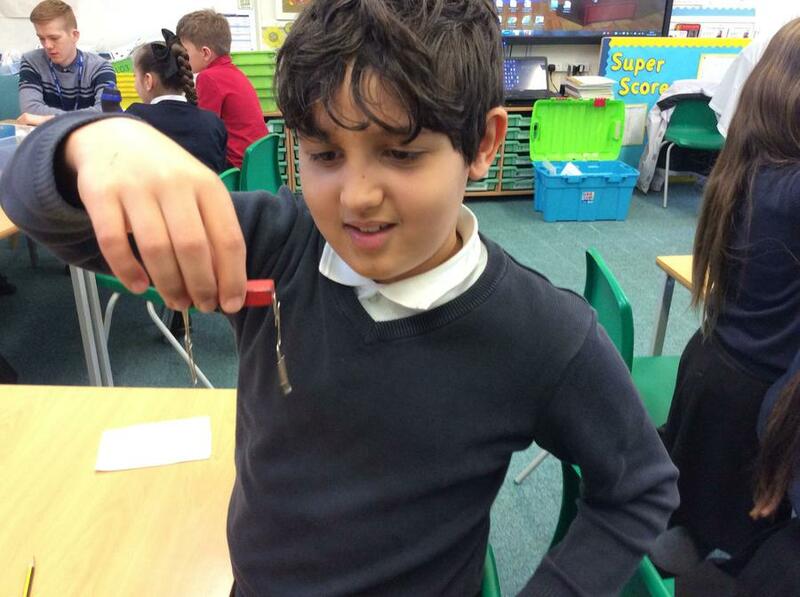 This is our hook for our new topic "Do Opposites Attract". 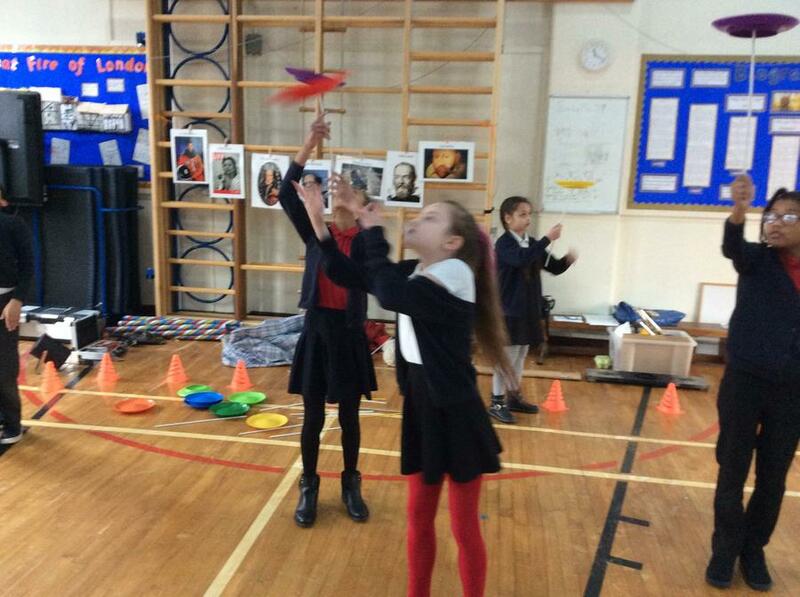 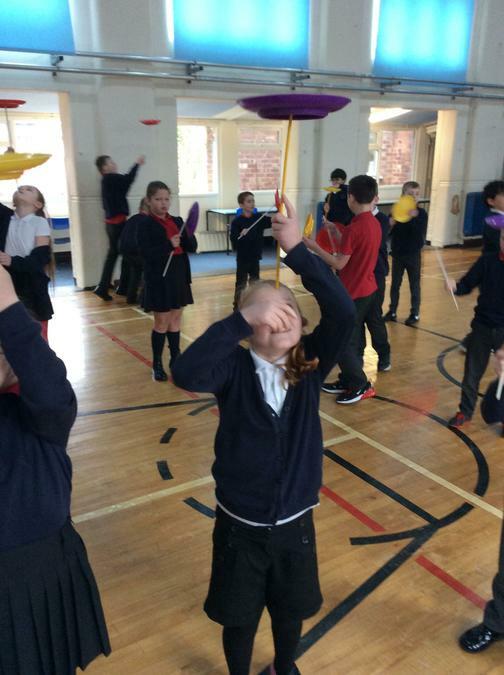 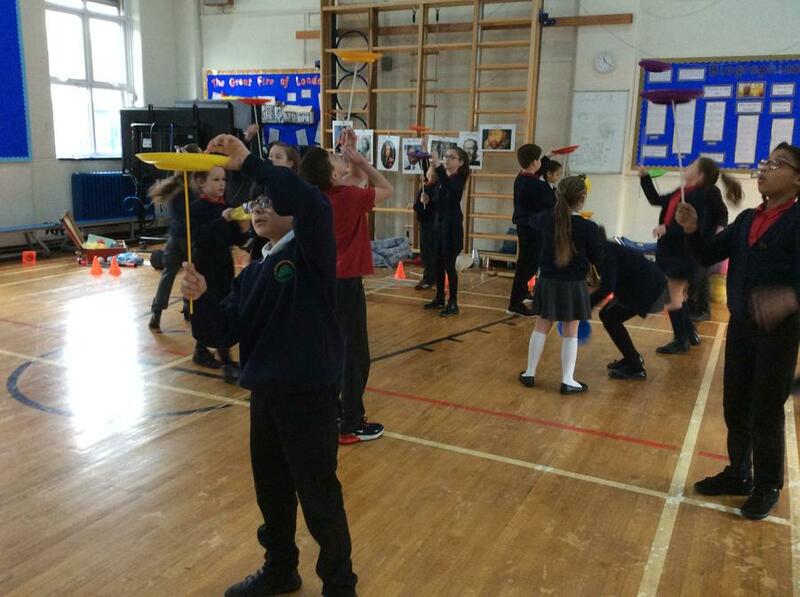 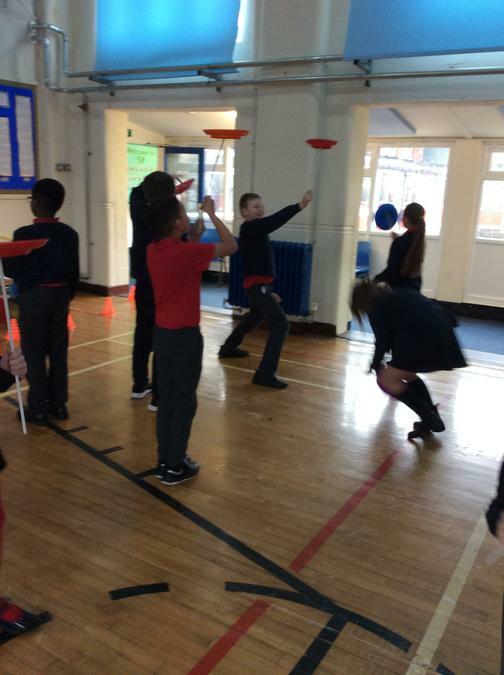 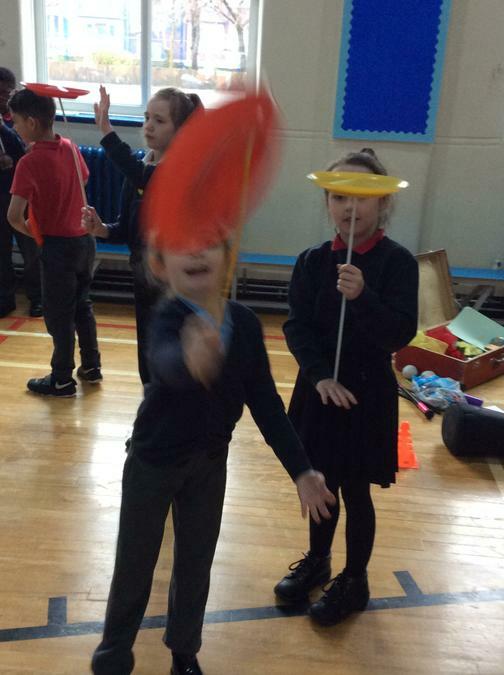 The children really enjoyed this and learnt a lot. 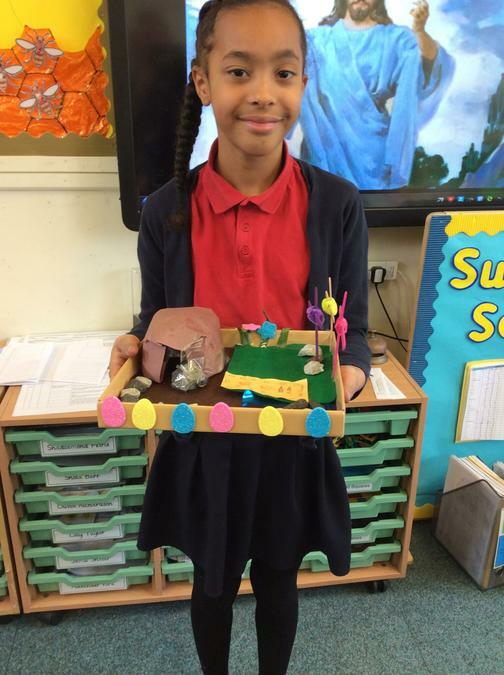 4W’s timeline from the Stoneage on. 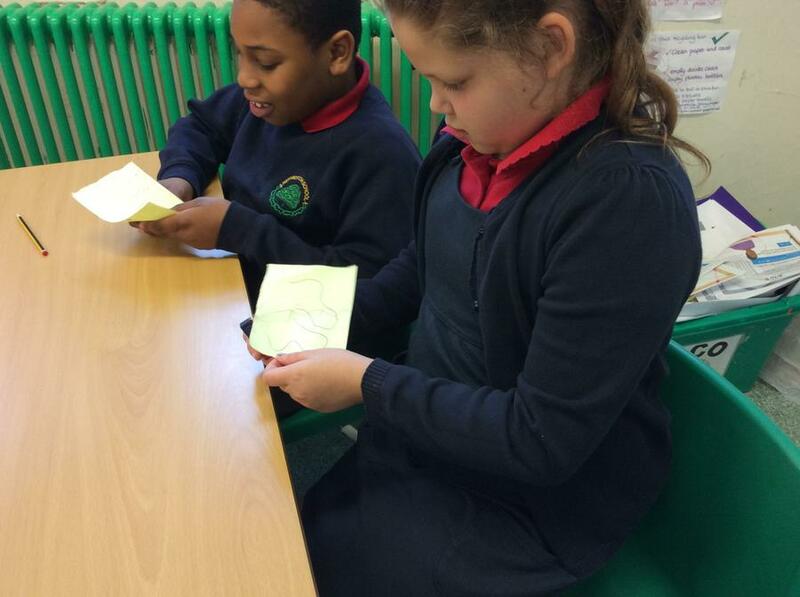 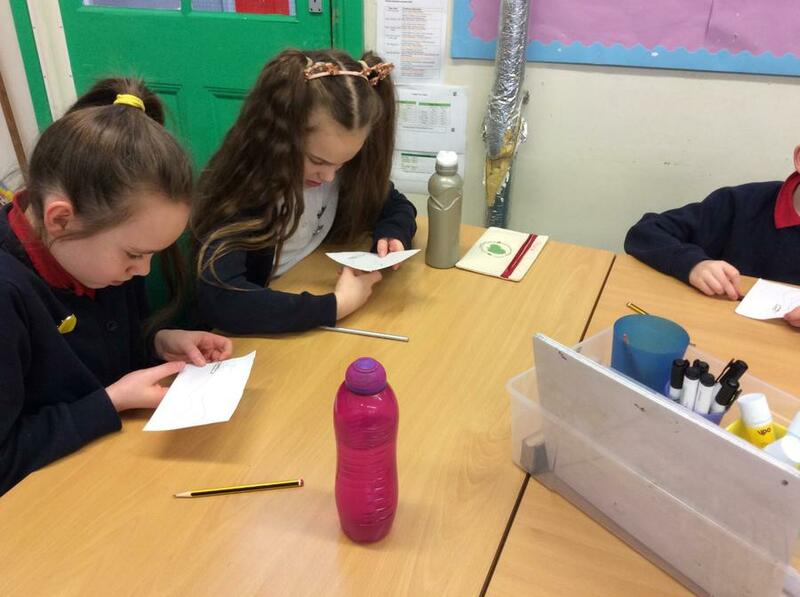 To start our learning about the Stoneage we put periods of history in order to create a timeline. 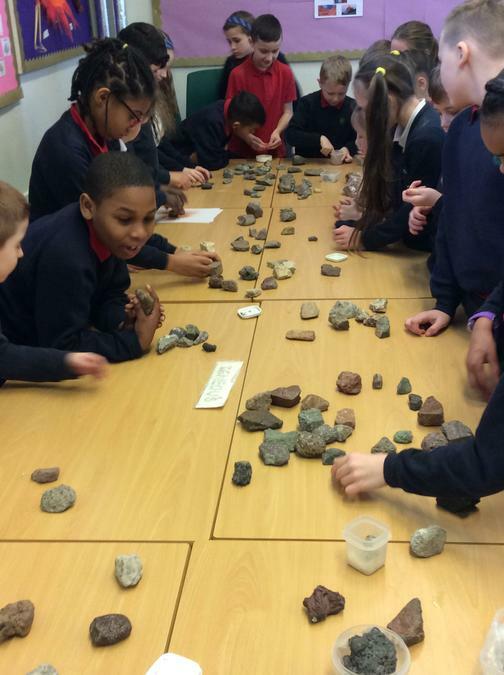 We used BCE ( before common era) and CE ( common era) to help us. 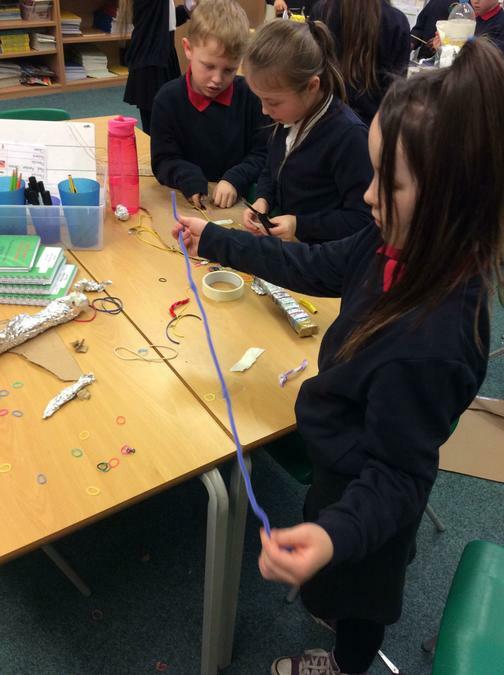 4W made vlolcanoes out of modroc. 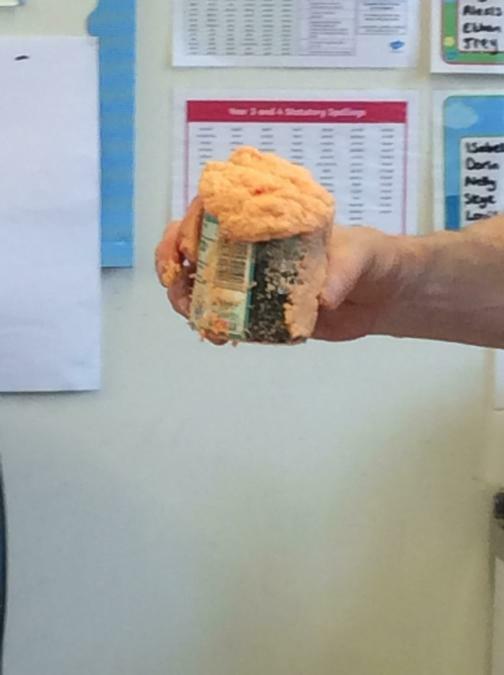 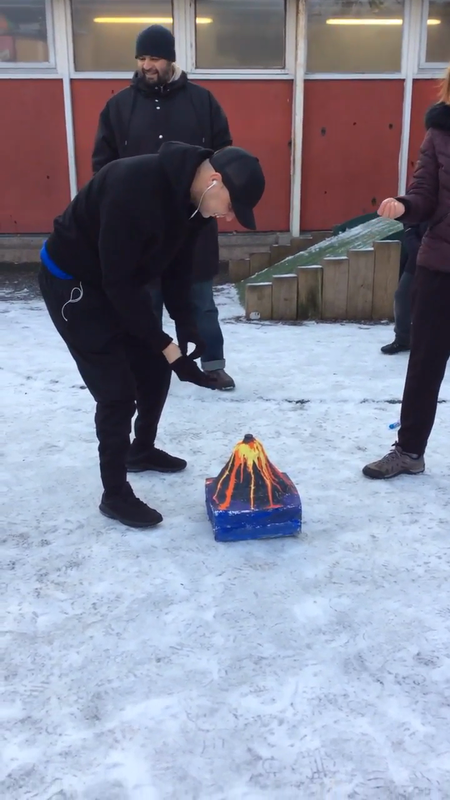 We put a bottle of coke down the centre then put mentos down the bottle of coke to make it erupt. 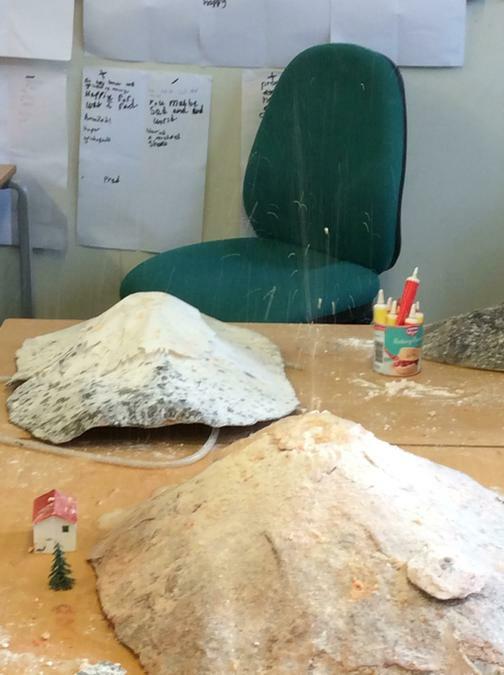 Watch our videos to see the eruptions. 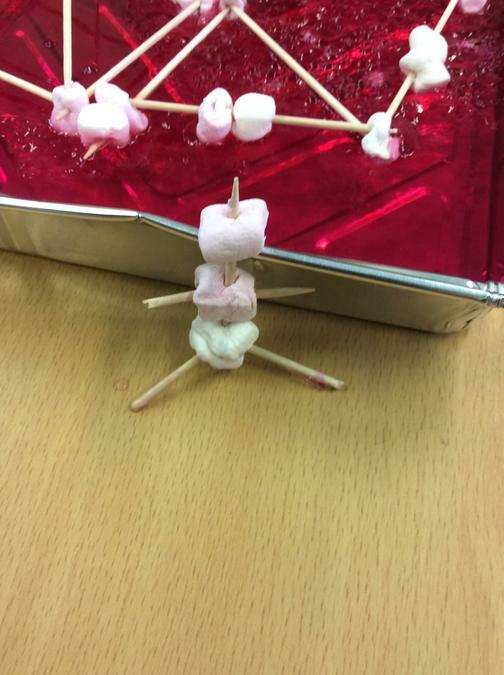 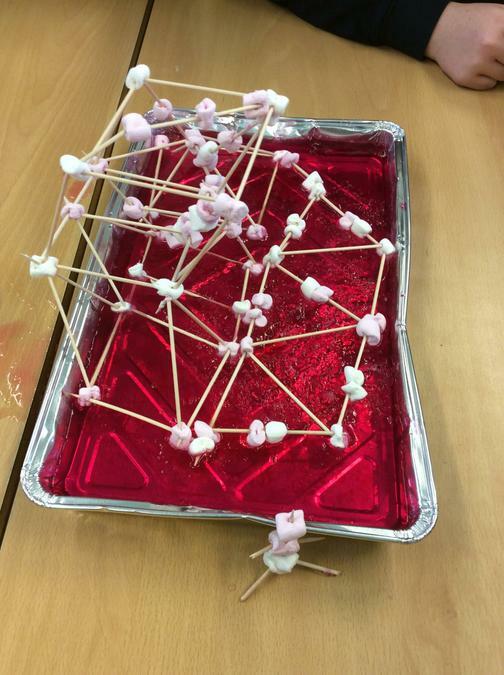 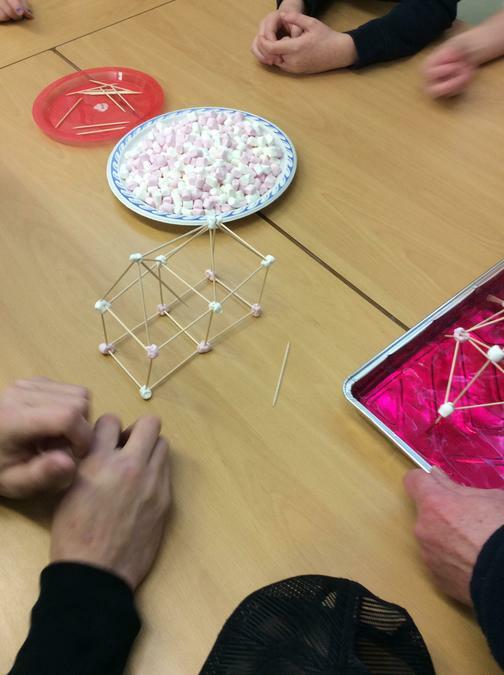 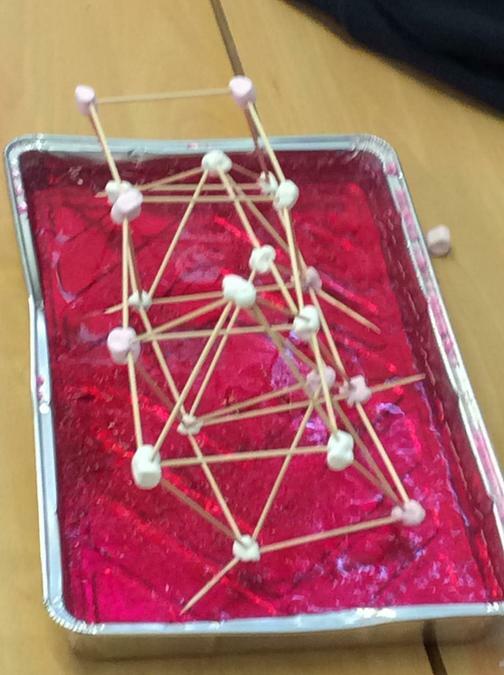 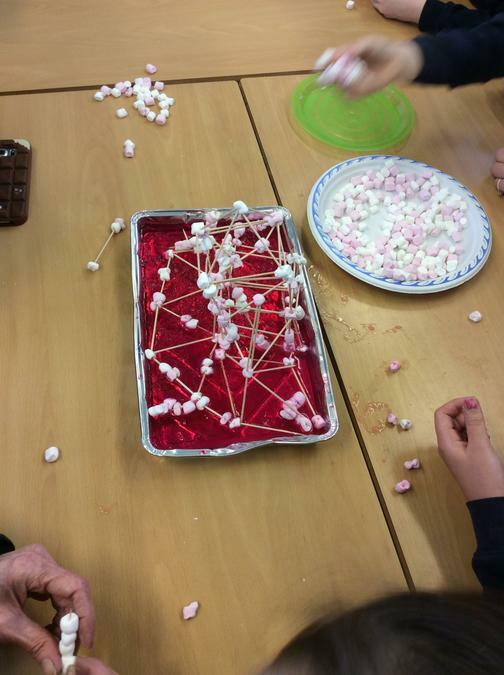 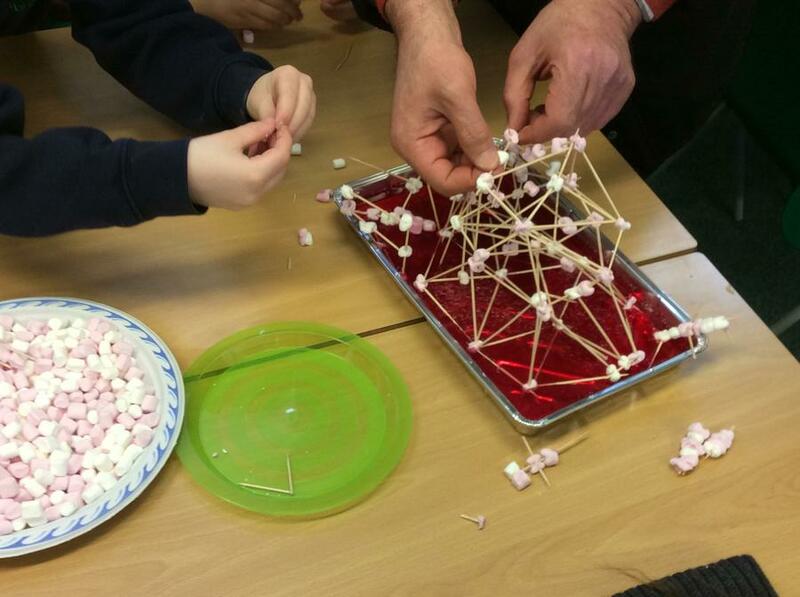 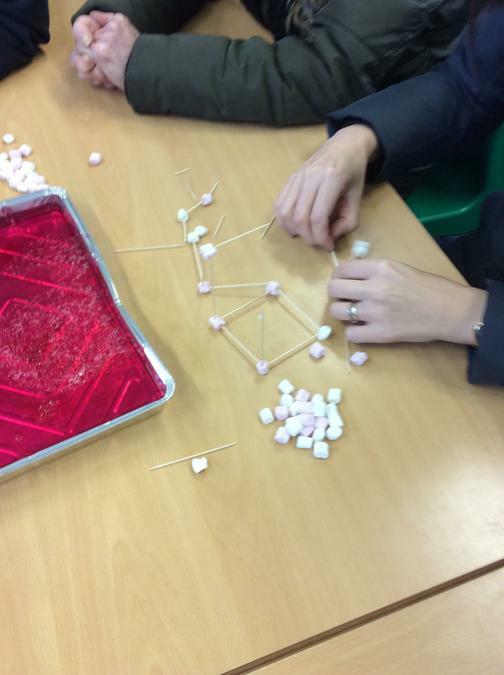 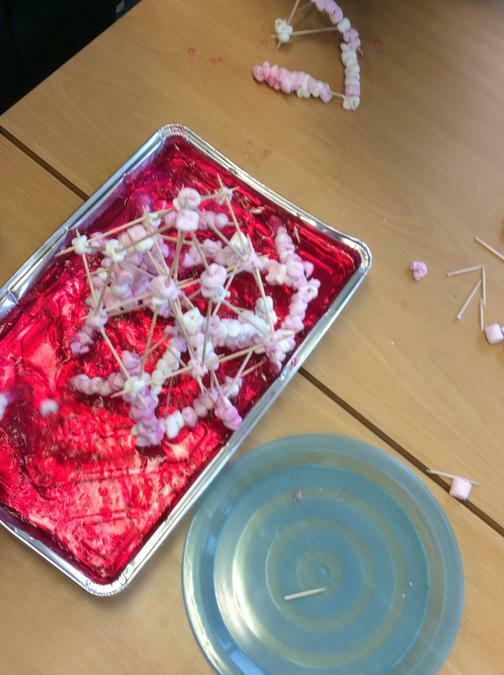 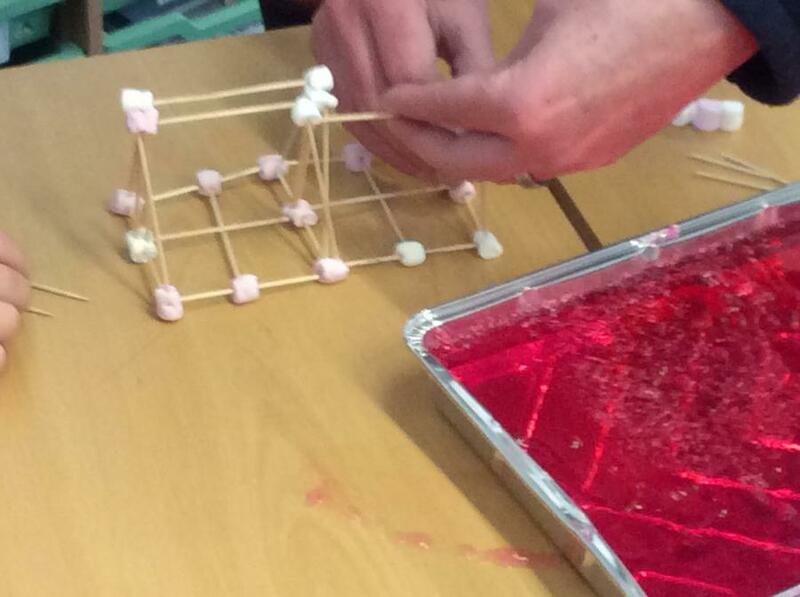 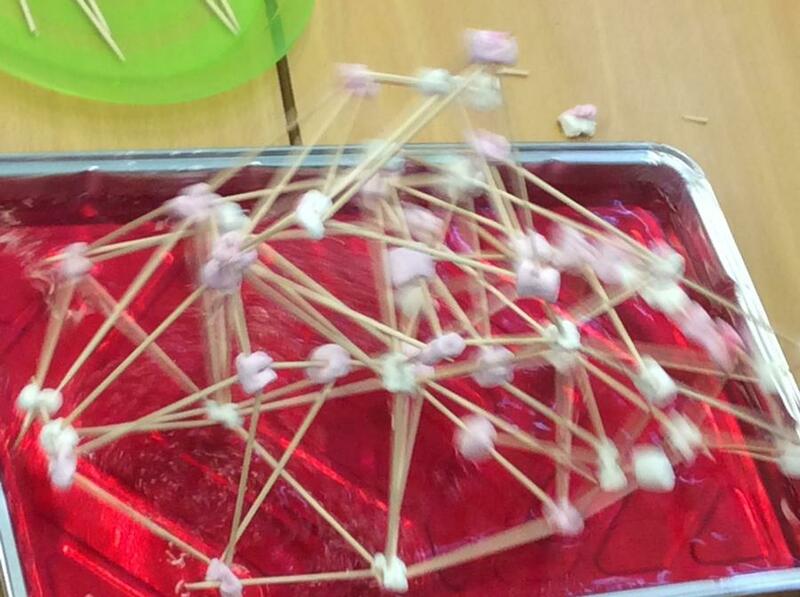 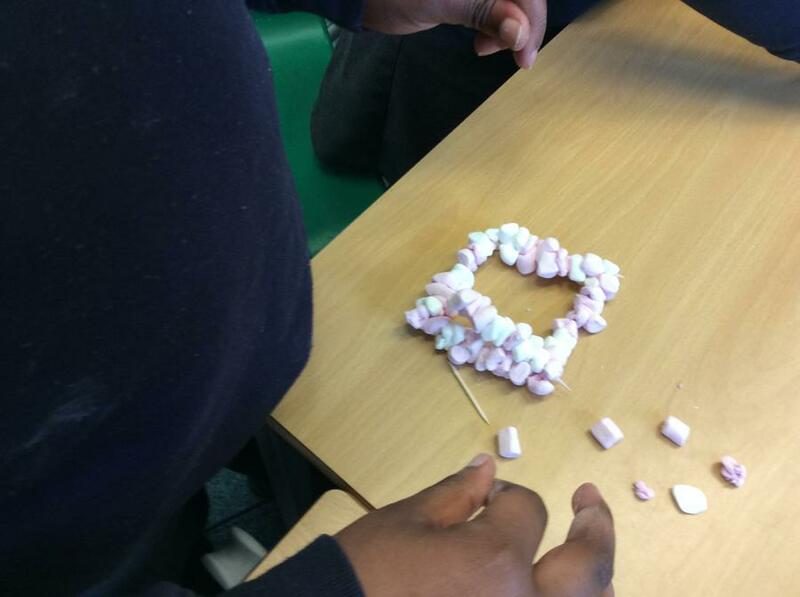 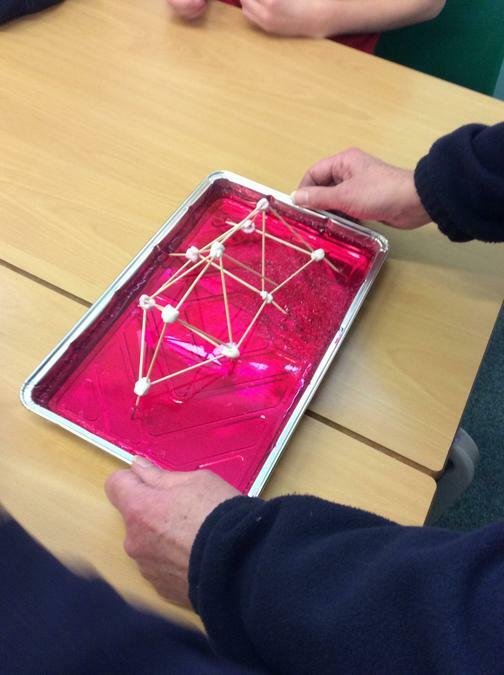 Also at our parent celebration we used cocktail sticks and marshmallows to try and make a structure that would stand up in an earthquake. 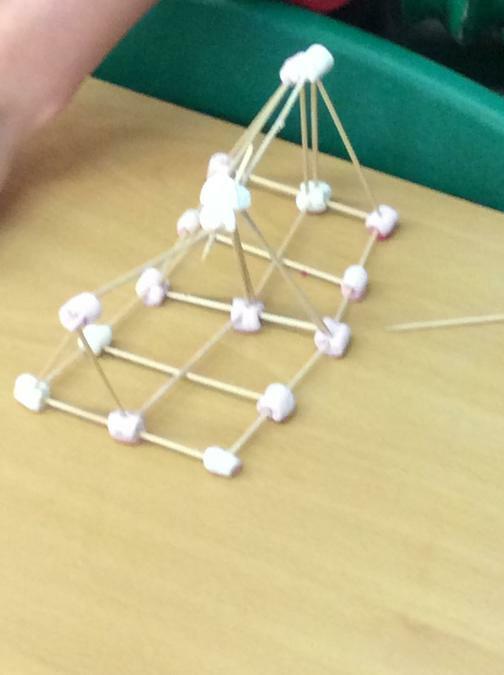 We tried lots of different styles to look for the strongest structure. 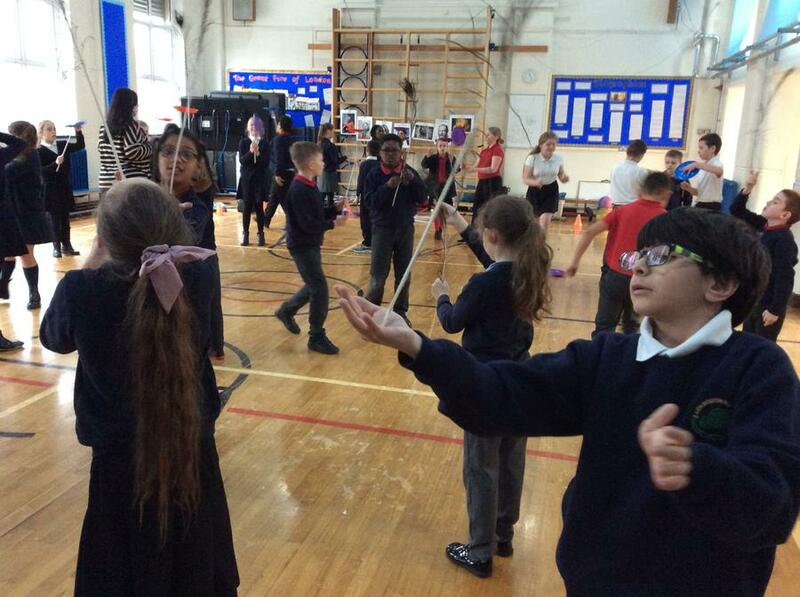 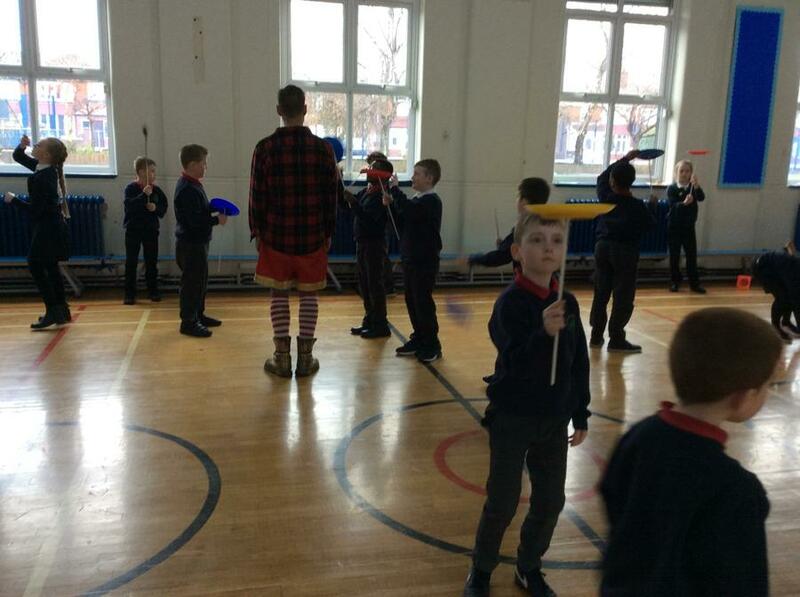 The children also acted out living in the Stone age, throwing arrows to kill animals, lighting fires after using an axe to chop down the trees and setting the fire alight with flints. 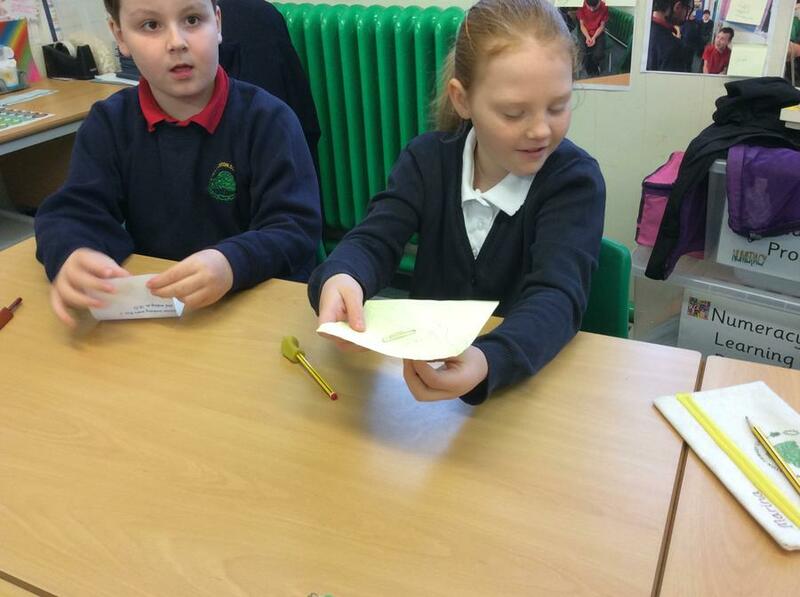 It was great fun and gave us idaes that will help us to write a story with a historical setting. 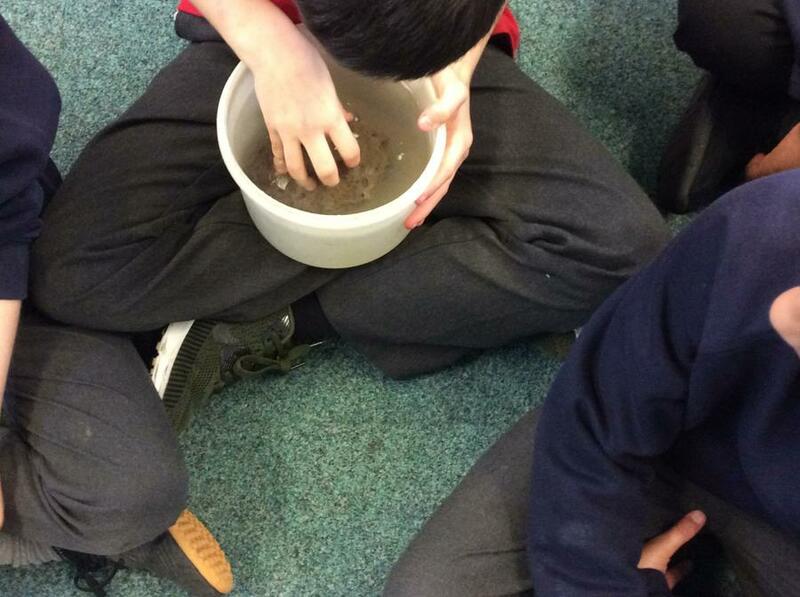 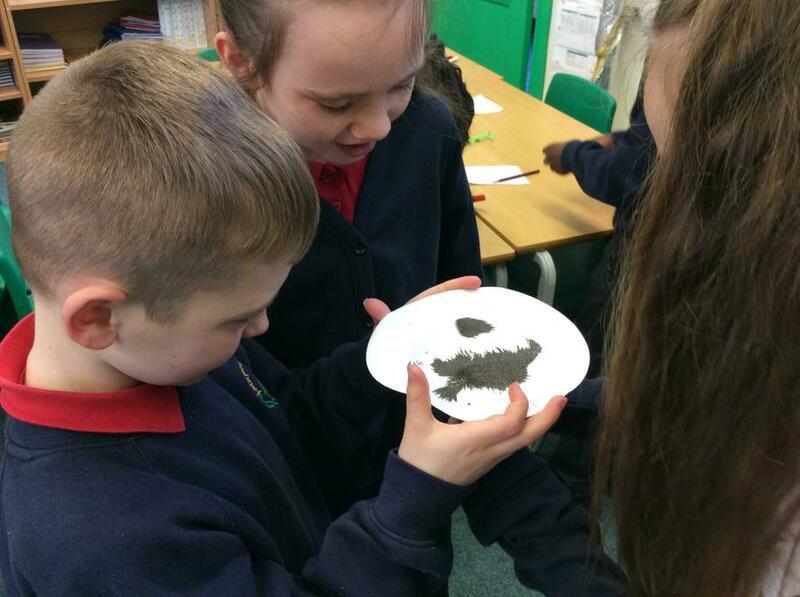 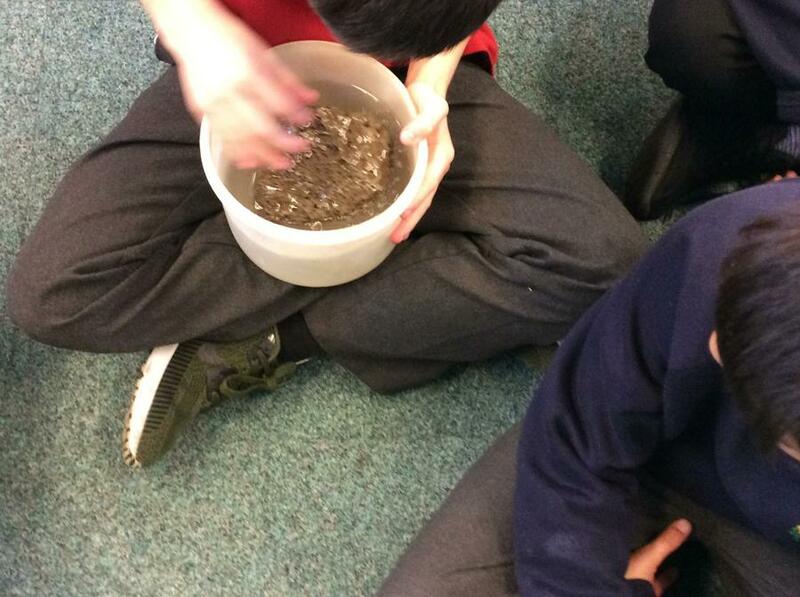 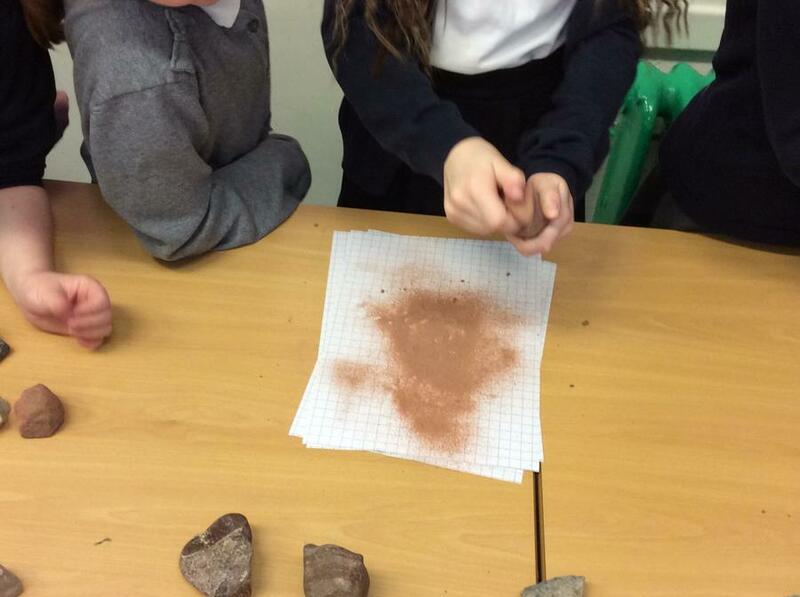 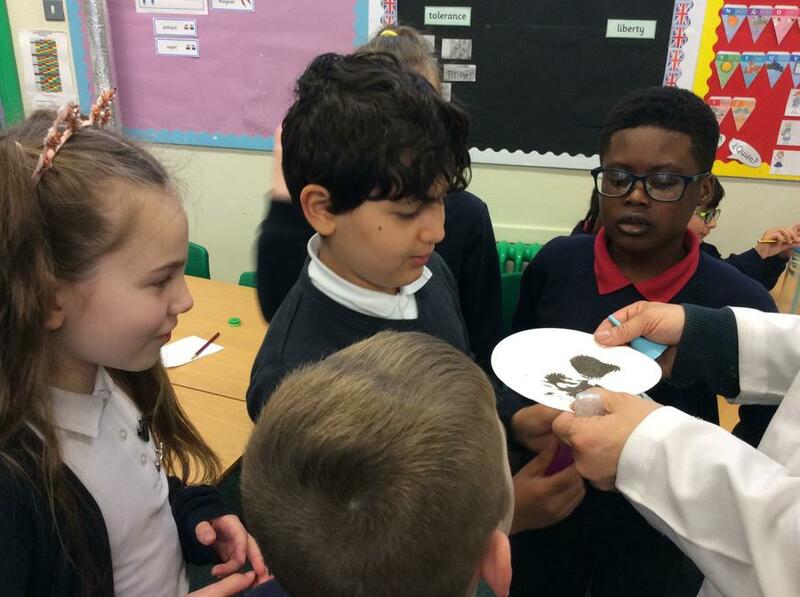 This week the class have been learning about the layers that make up the earth. 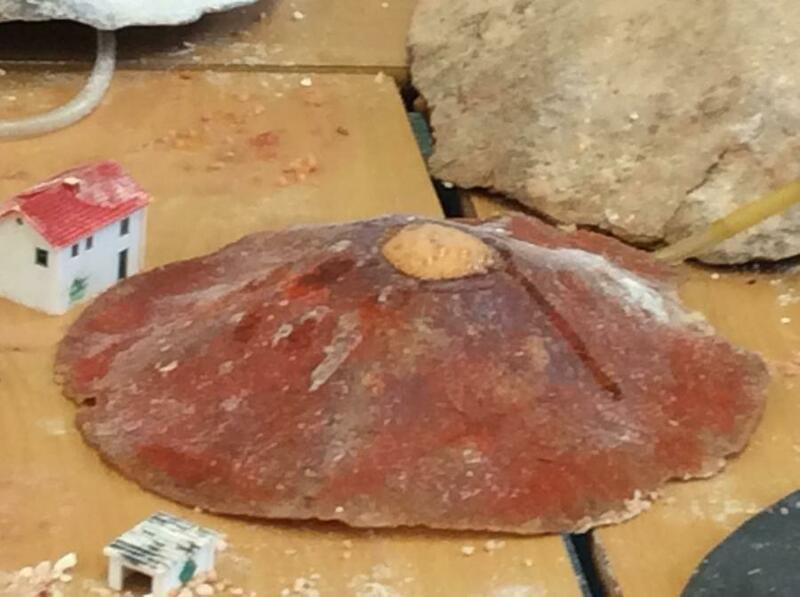 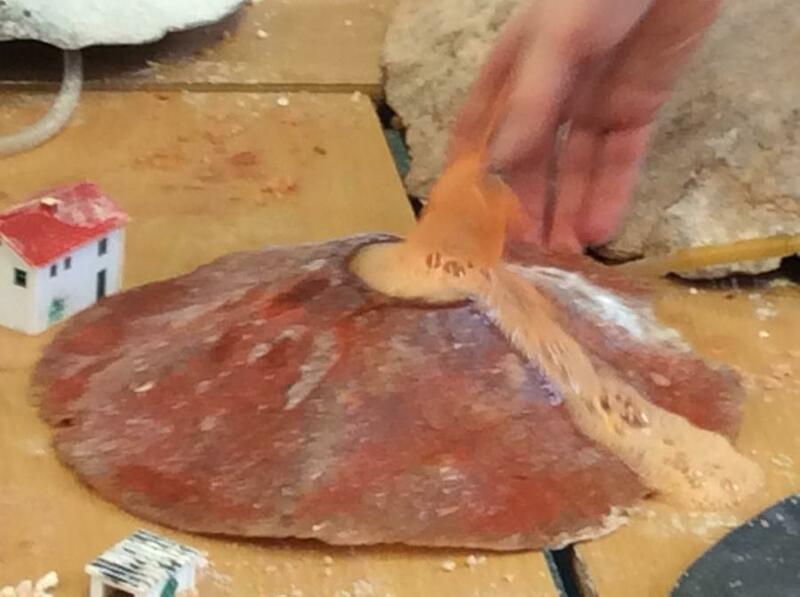 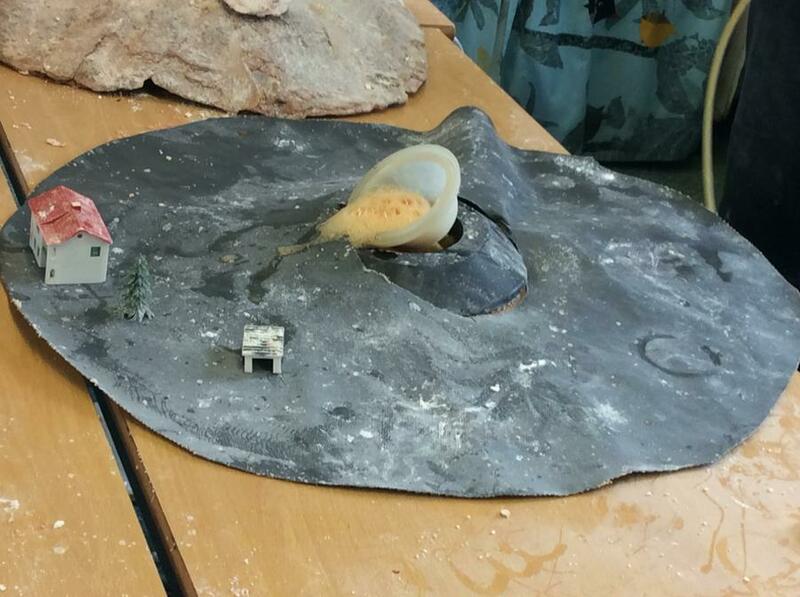 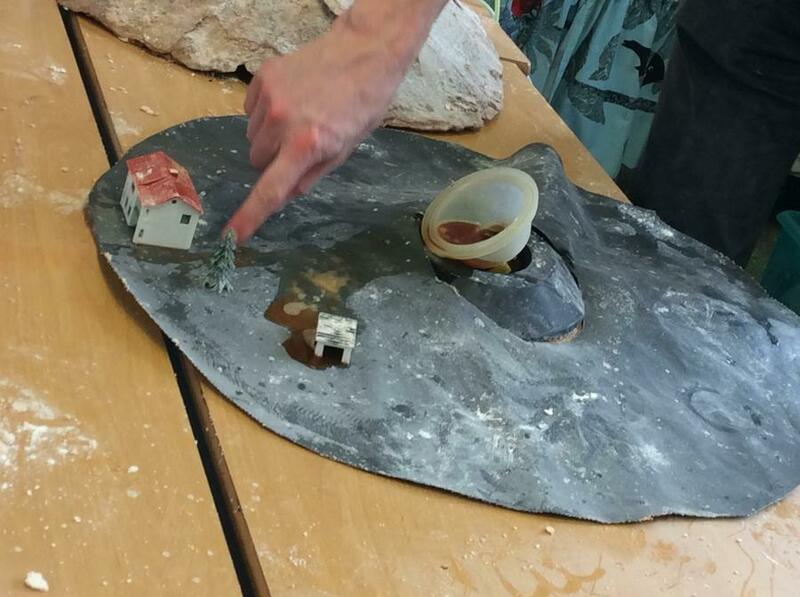 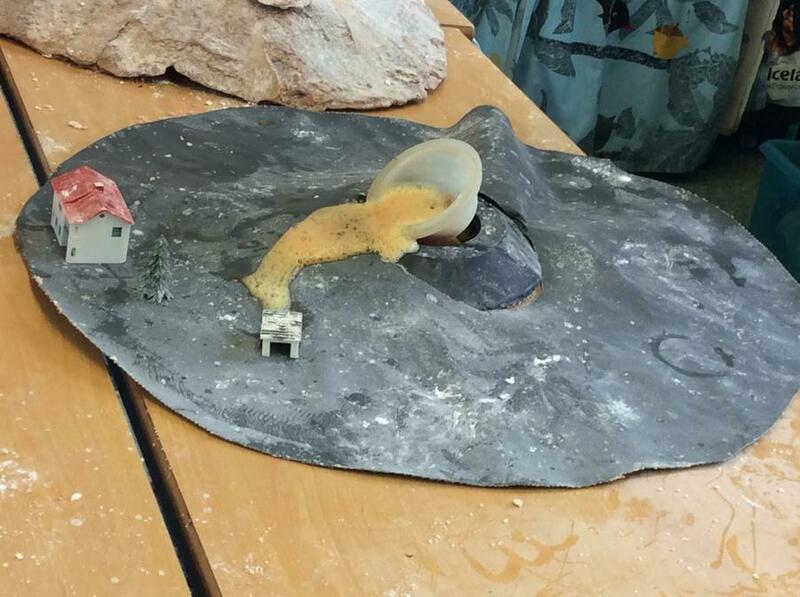 They have created their own earth out of plasticine and then it was cut in half to show the layers. 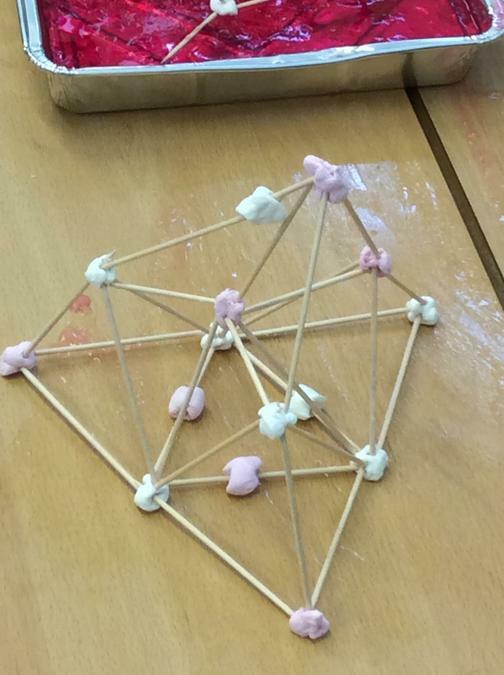 Have a look at them and ask your child about how they made it and the names of the layers. 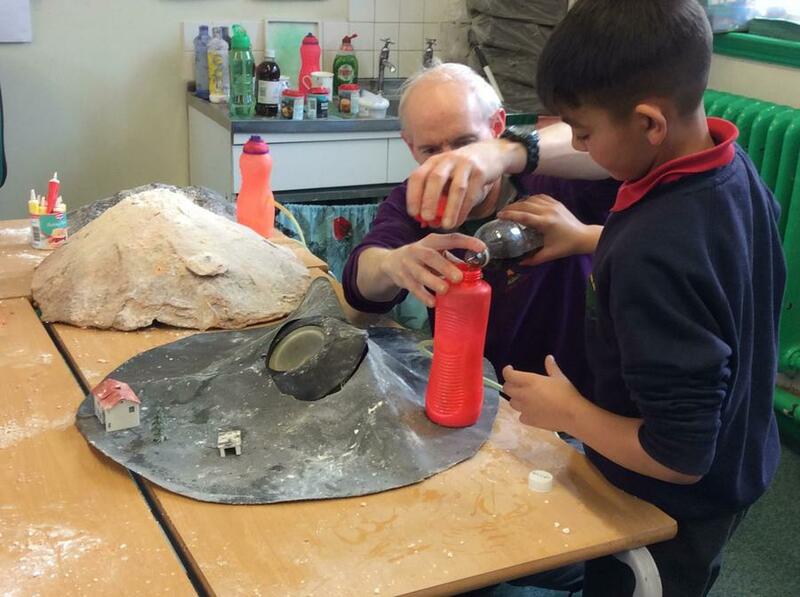 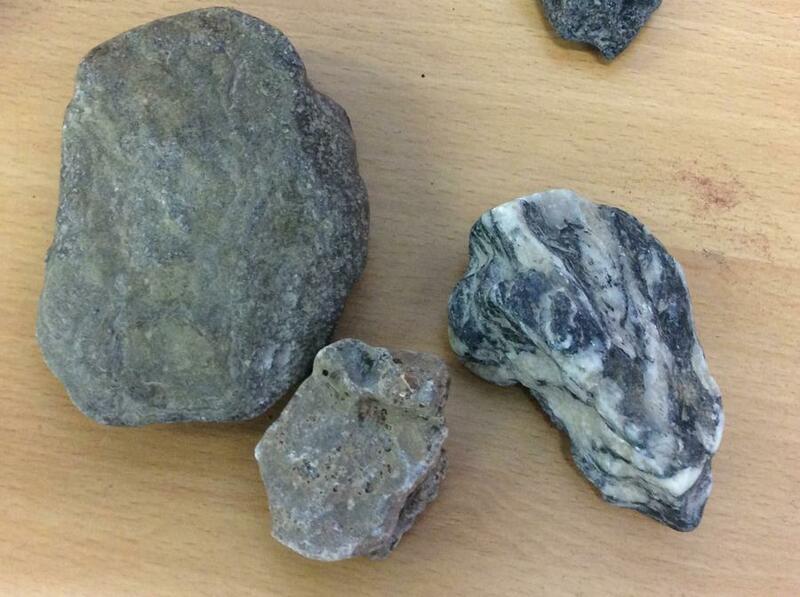 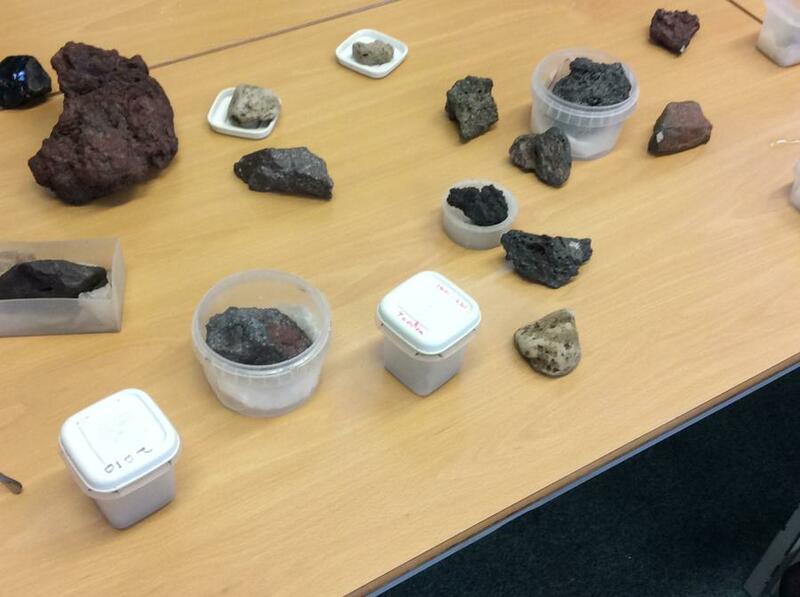 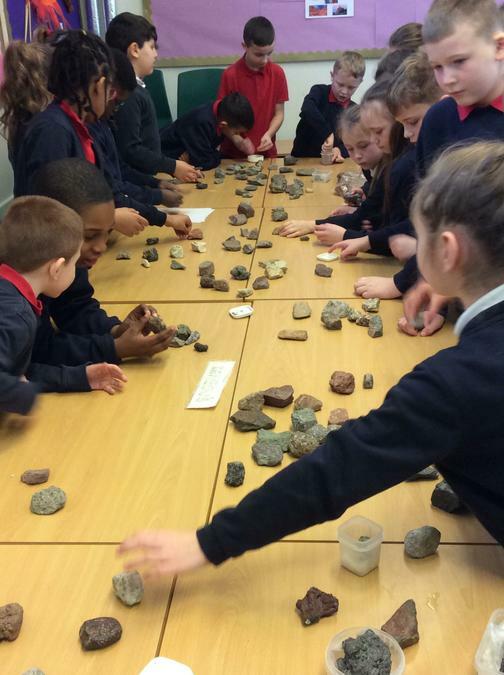 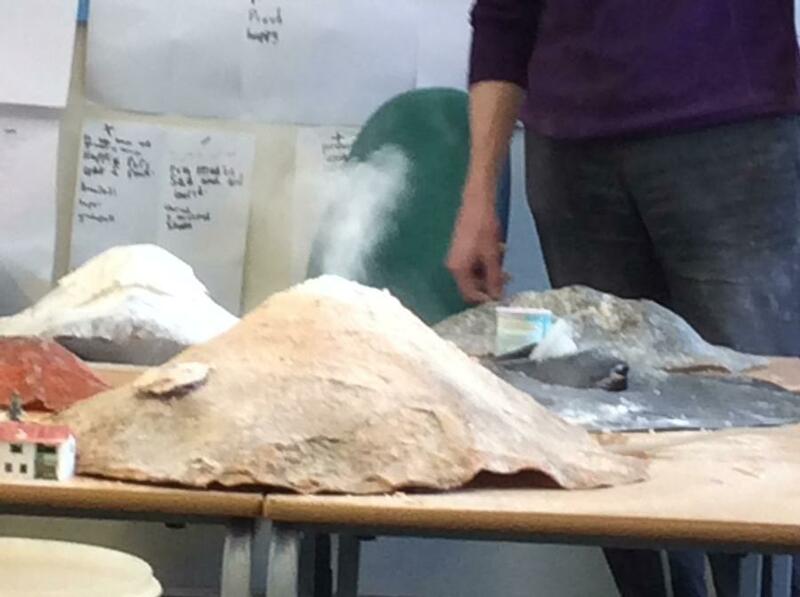 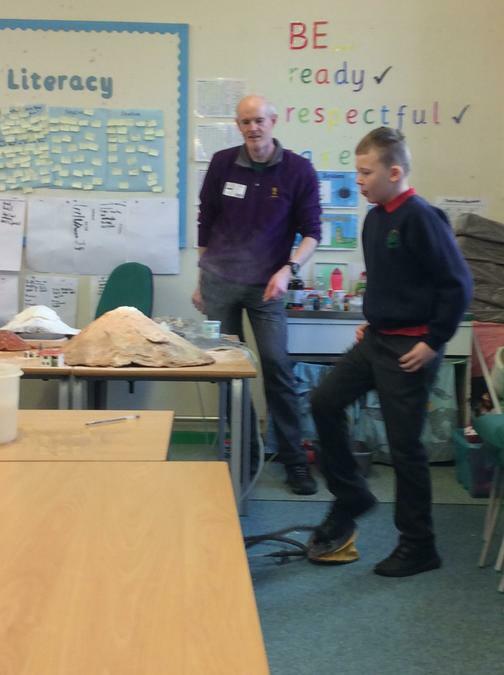 Steve came to visit us to get us excited about our learning on Rocks and Volcanoes. 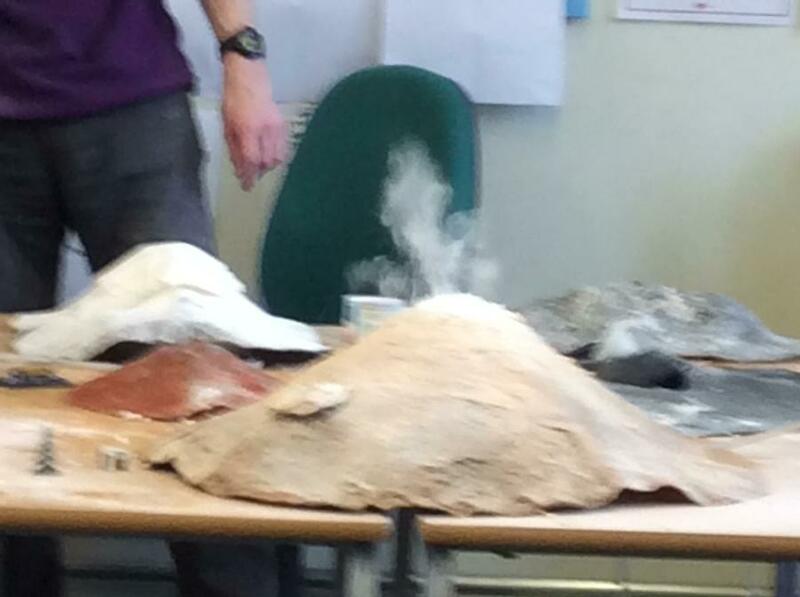 Steve has visited lots of volcanoes that have erupted and at the end of the day we watched videos of where he had been and volcanoes erupting with hot lava. 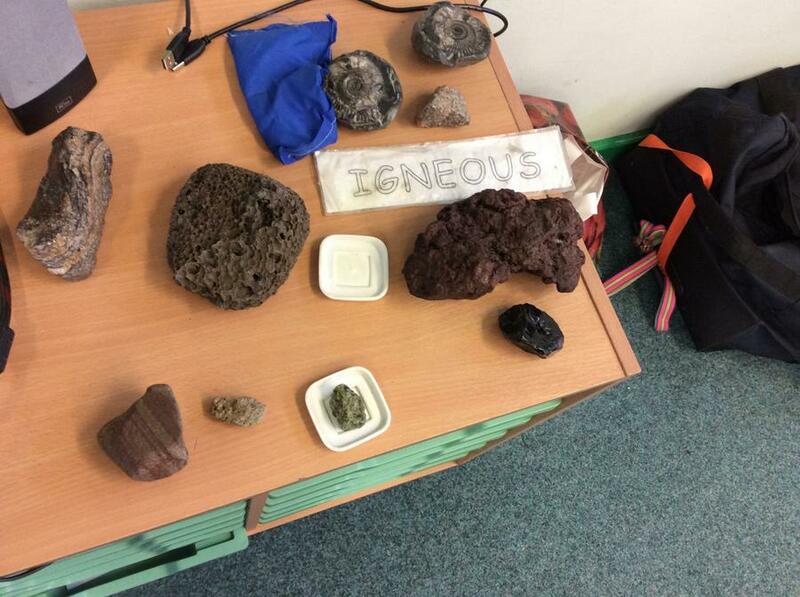 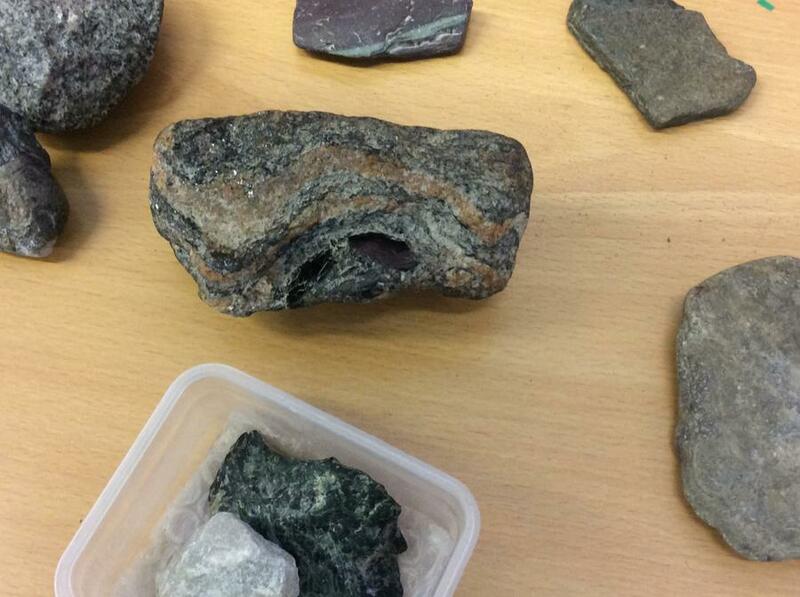 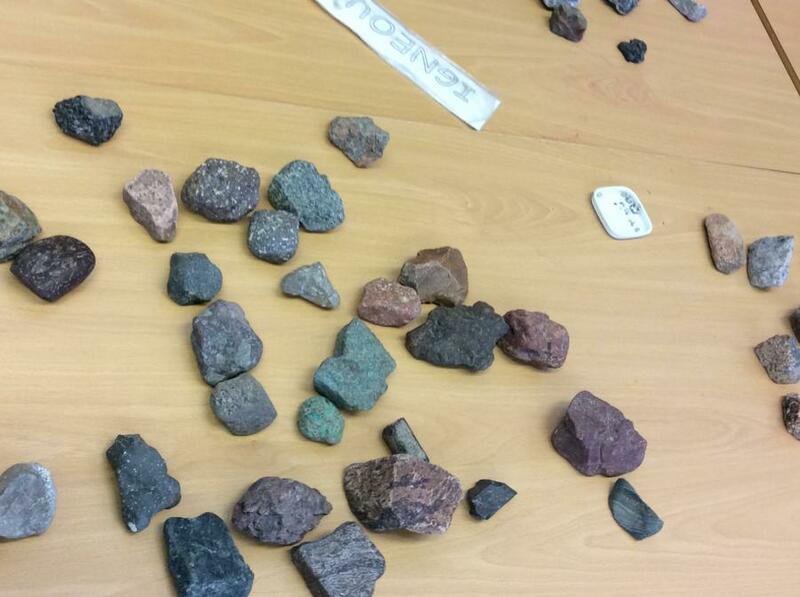 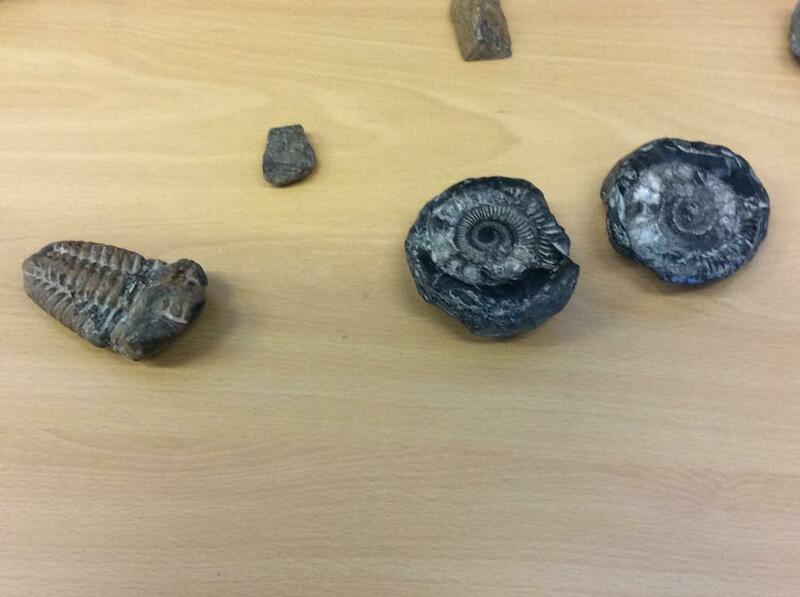 During our time with Steve, we were able to look at and handle the three different types of rocks-sedimentary, igneous and metamorphic. 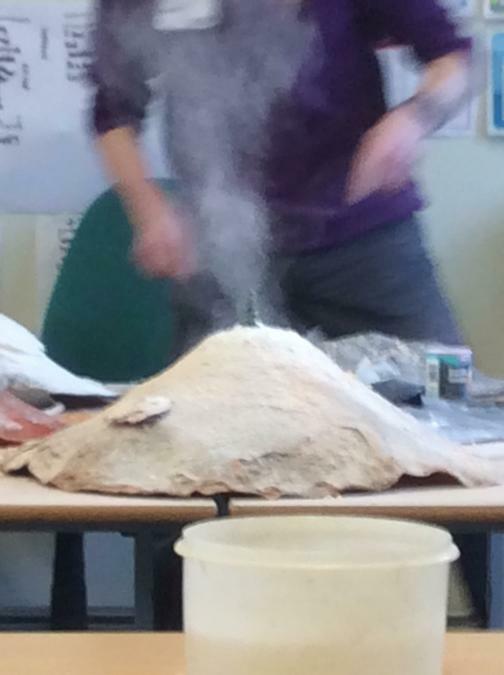 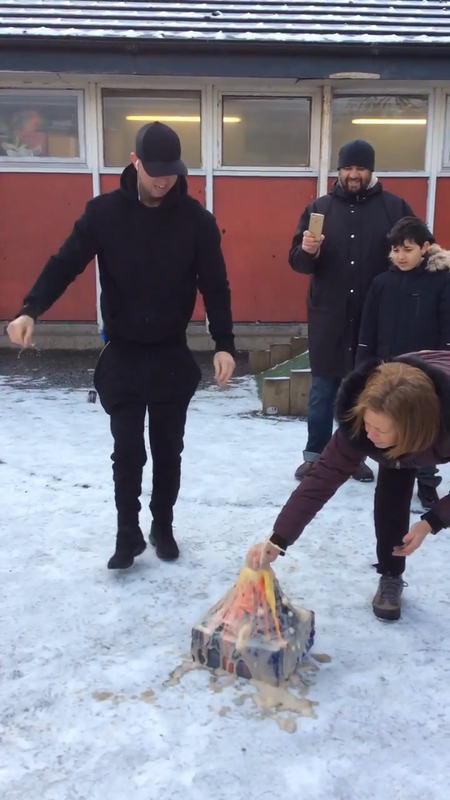 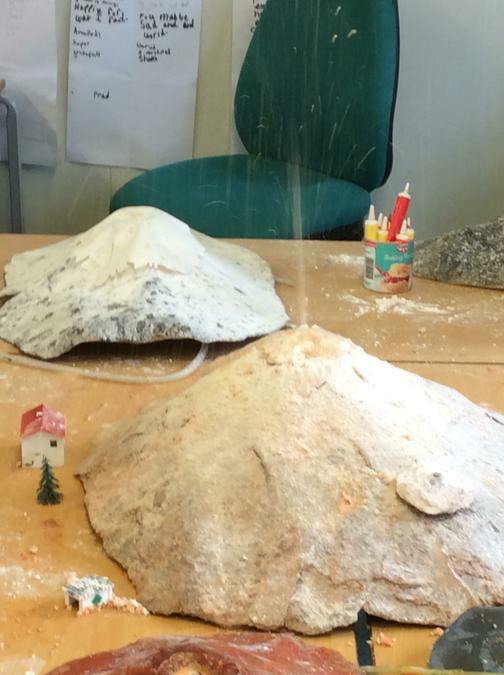 We also all got to explode a volcano! 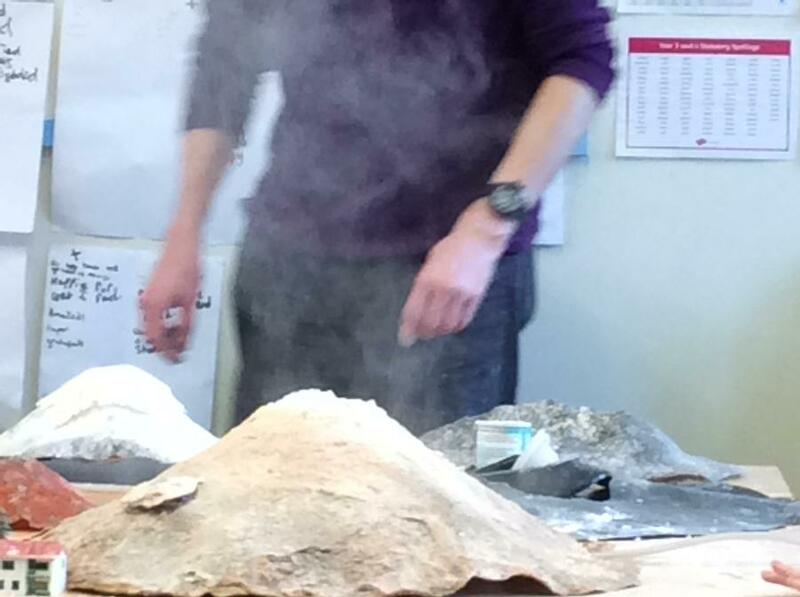 We created smoke, rock showers and lava flows. 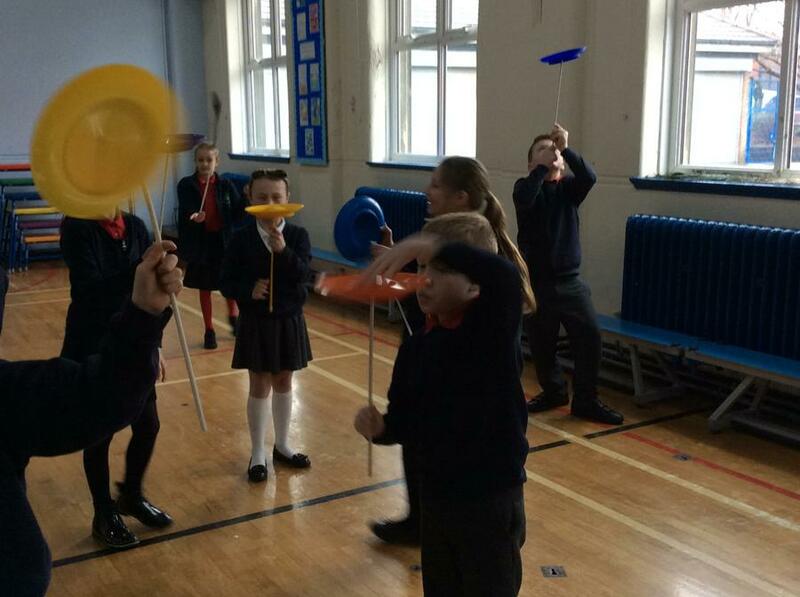 Take a look at the photos of the session. 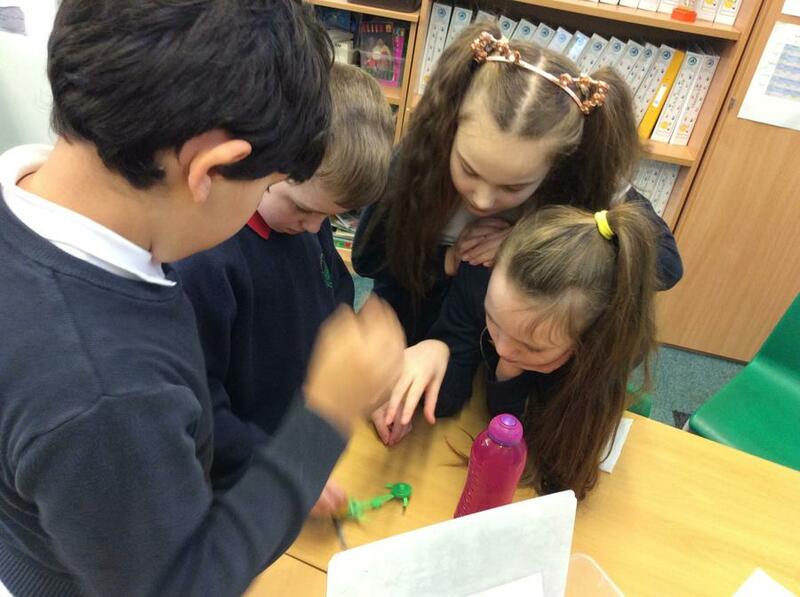 Everyone really enjoyed finding out lots of information. 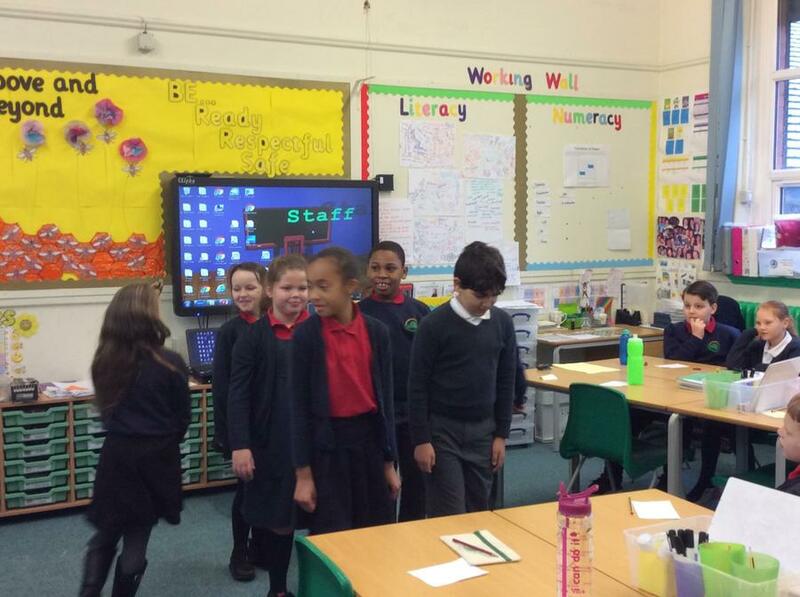 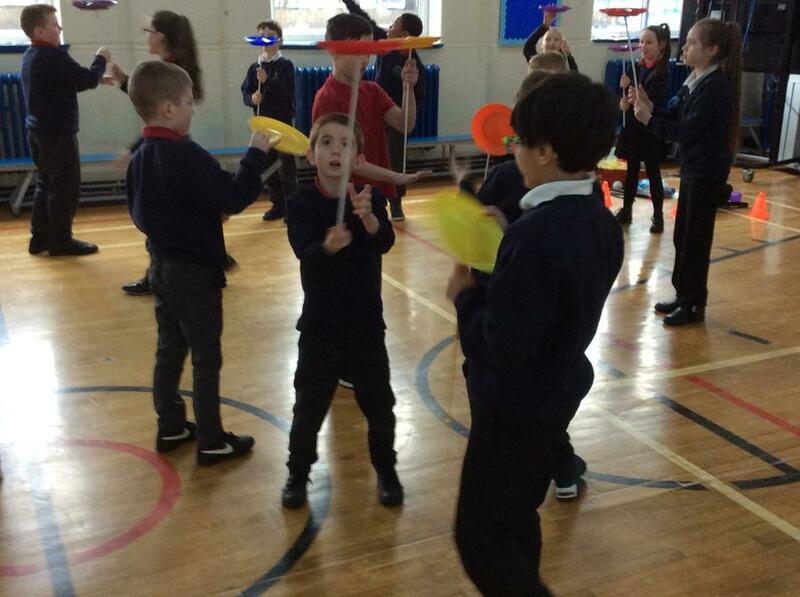 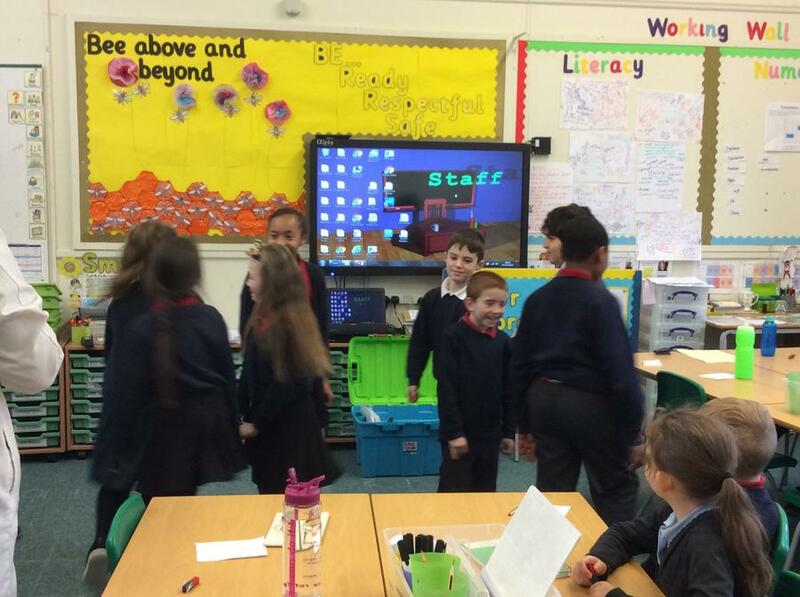 To finish our topic on sound 4W learnt how to use our voices to perform together as an ensemble. 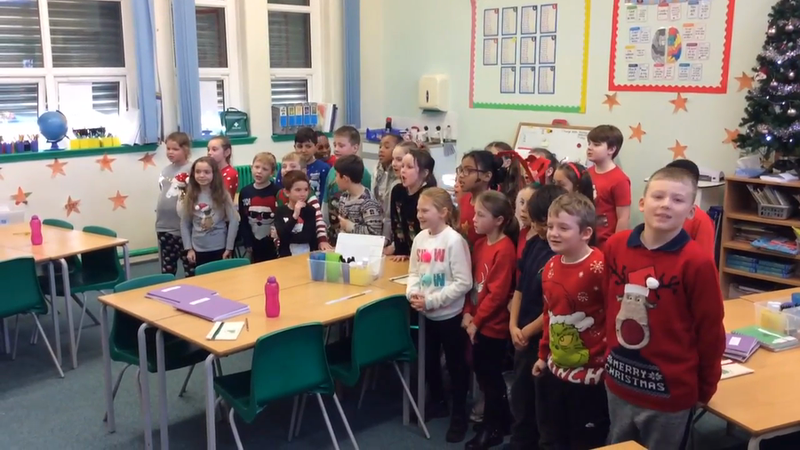 As it is nearly Christmas we decided to sing a Christmas song. 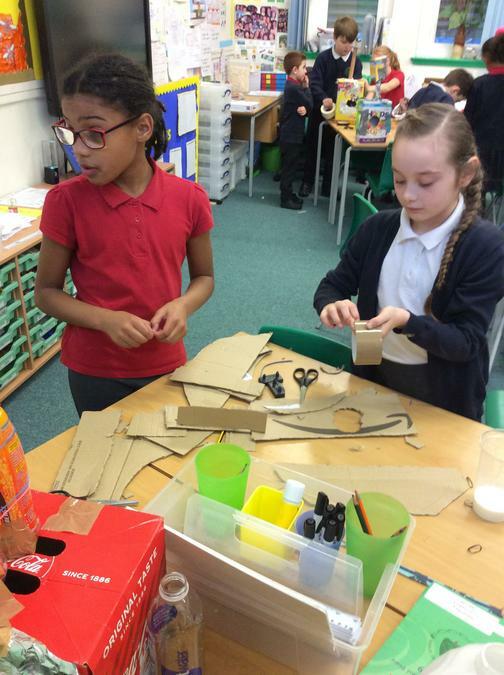 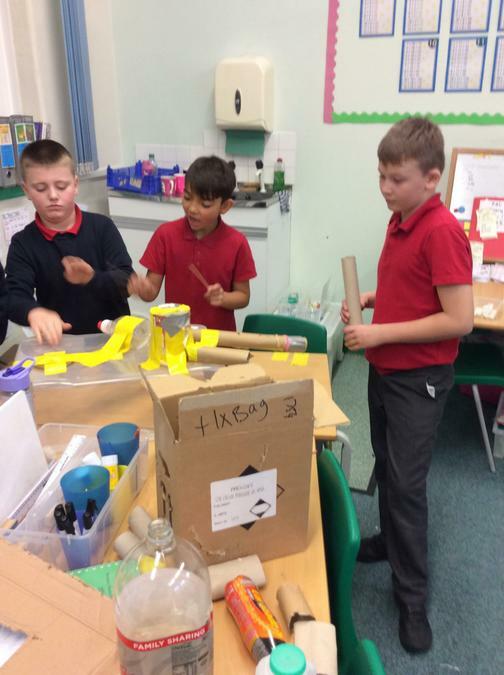 We made our own musical instruments in groups. 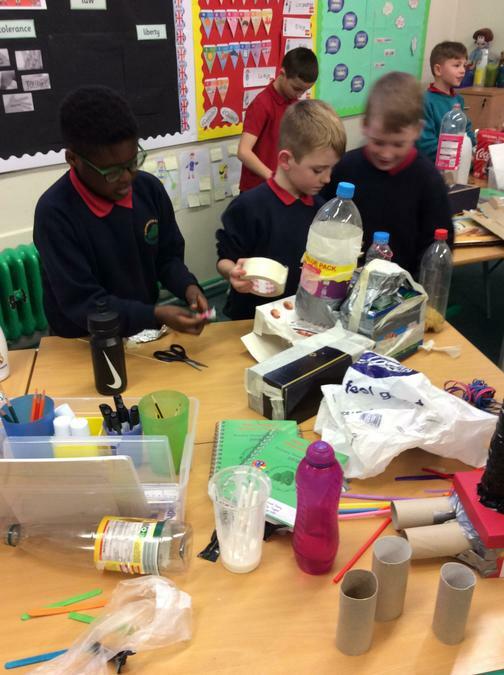 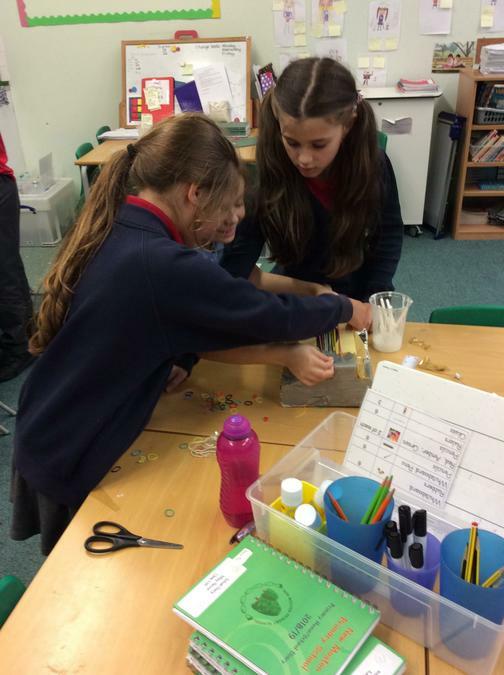 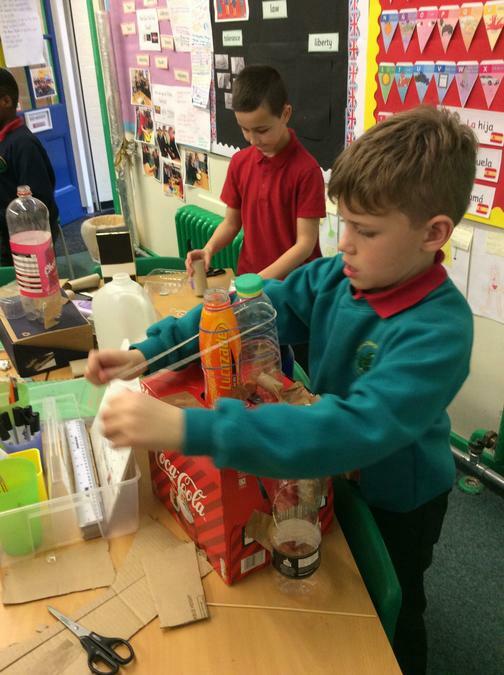 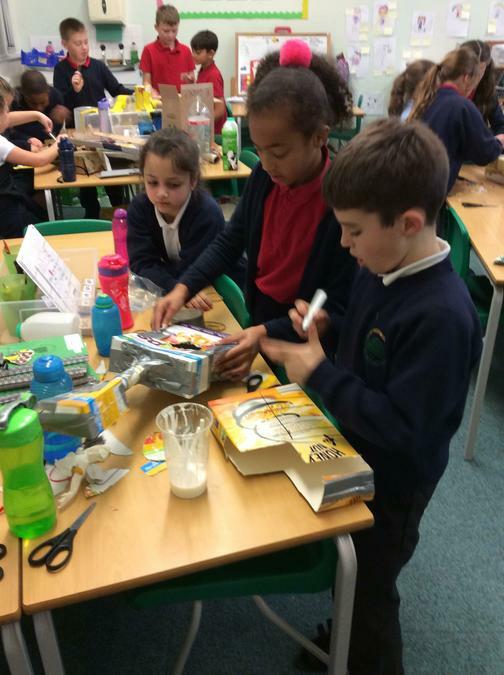 The children brought in resources from home to help and we tried to make instruments that reflected our learning about pitch. 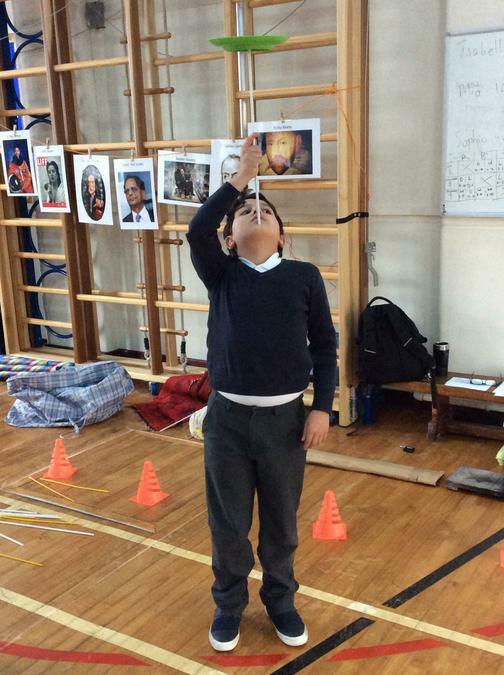 Have a look at our photographs.